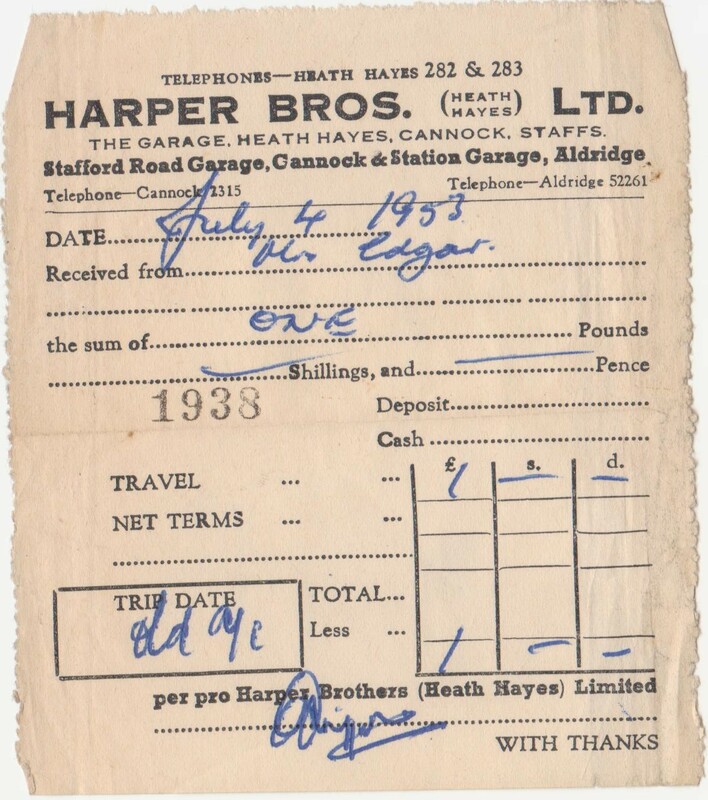 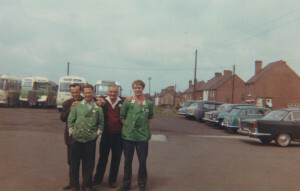 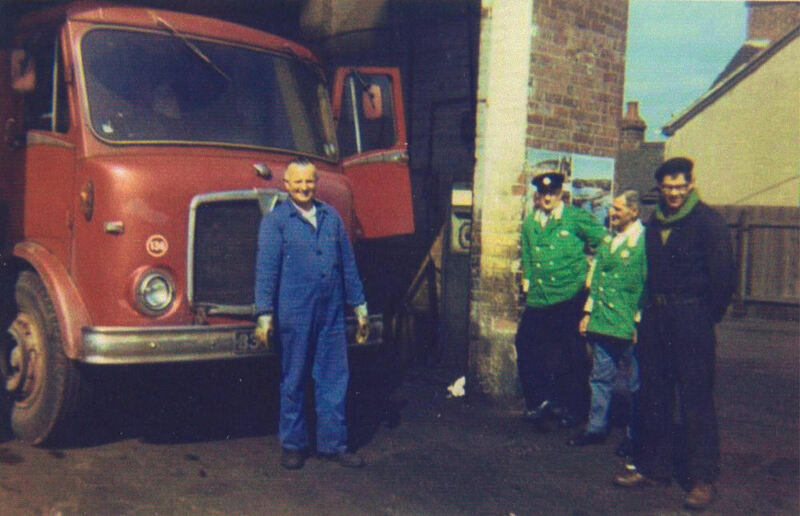 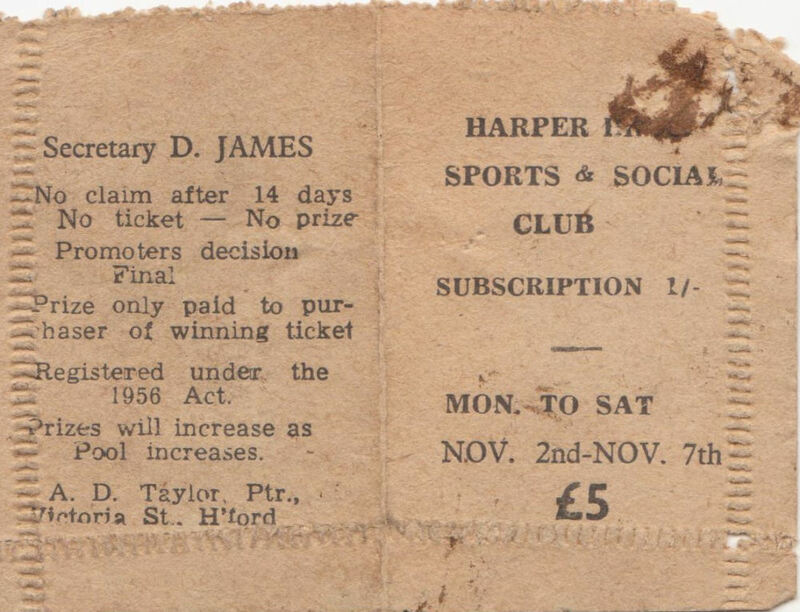 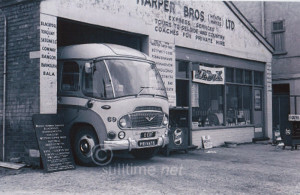 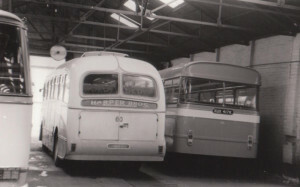 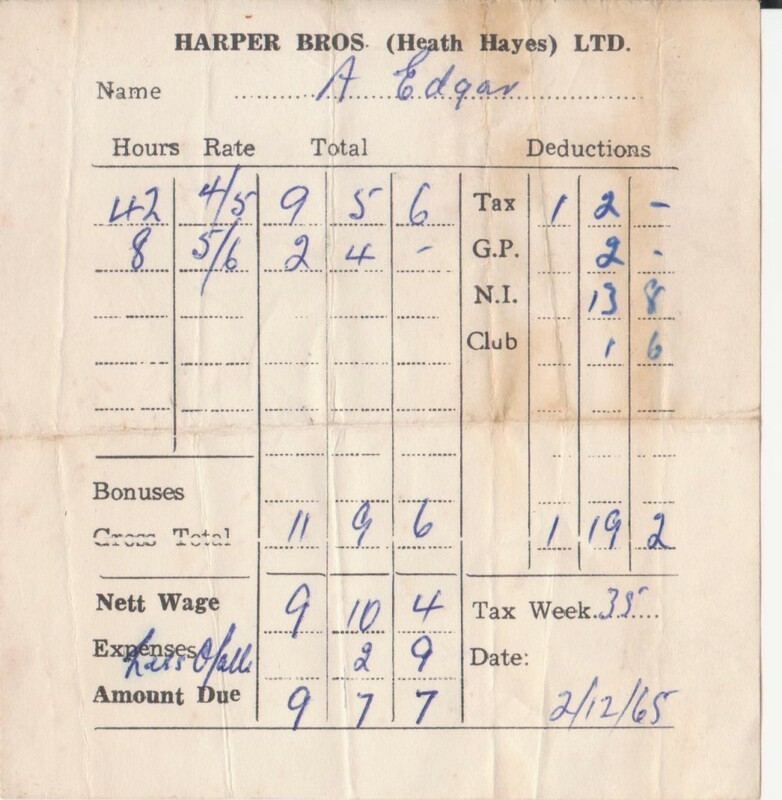 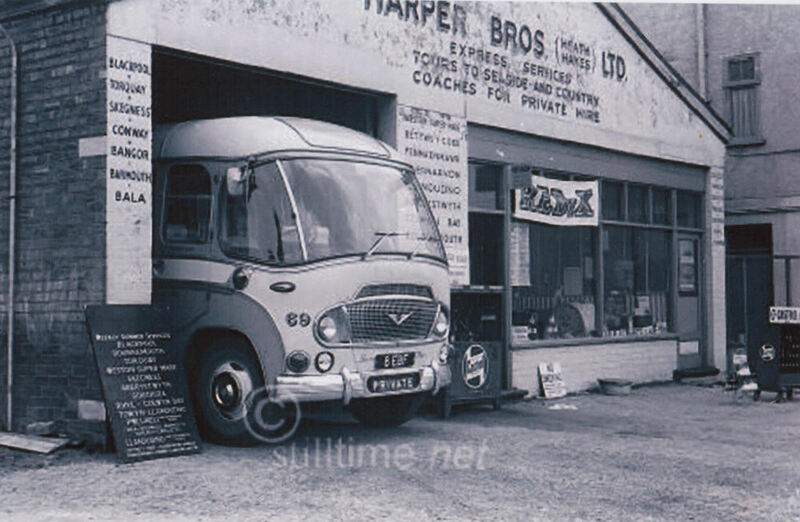 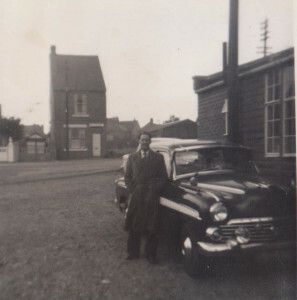 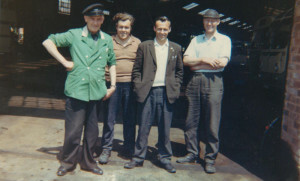 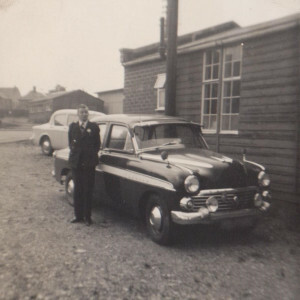 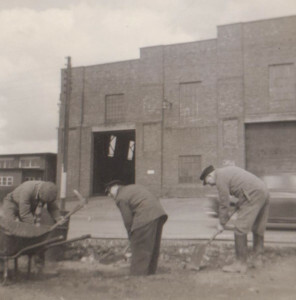 My best memories of Harpers Garage was the sheer excitement of the day trips that they organised. 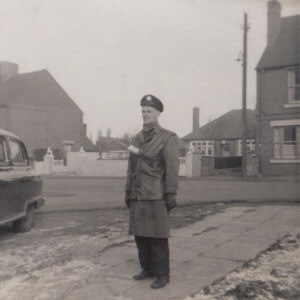 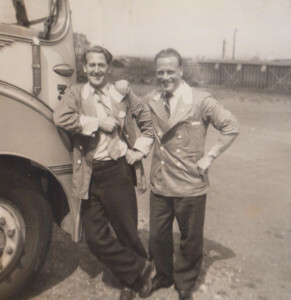 On the appointed day everyone would put on their best clothes (even if it was a trip to the seaside). 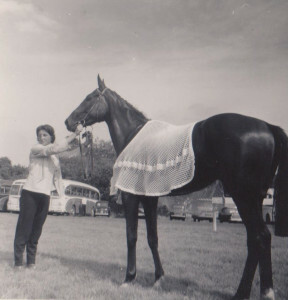 A new bucket and spade completed the outfit and off we would go. 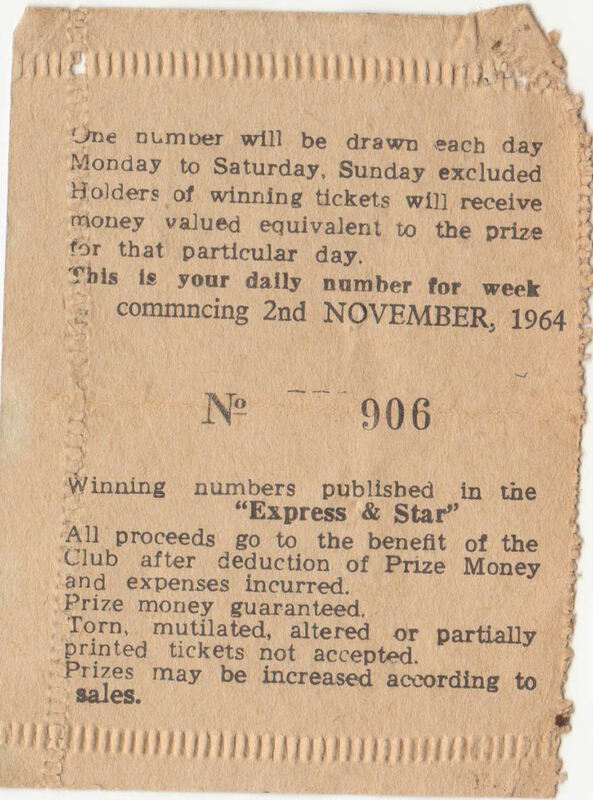 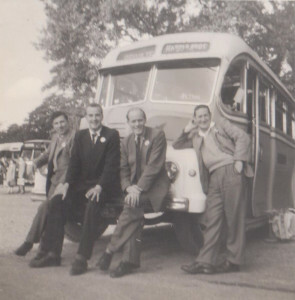 Friends, relatives and neighbours all knew each other and there was much joking and friendly jostling to get the best seats. 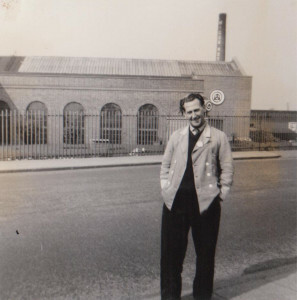 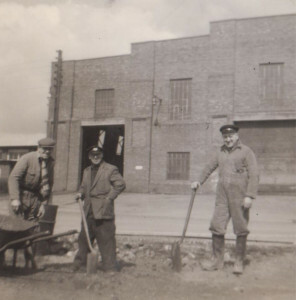 Hardly out of the depot and we would break into a rousing chorus of “Oh I do like to be beside the seaside” or “10 green bottles” and many other old favourites. 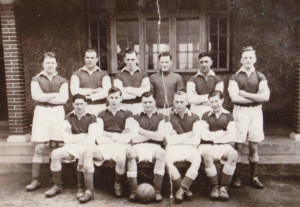 Fish ‘n’ chips for lunch or packed picnics, ice creams for the children and cups of tea at some café for the adults were all consumed around making sandcastles at Rhyl, the pleasure rides at Alton Towers or strolling around Dudley Zoo and Dudley Castle. 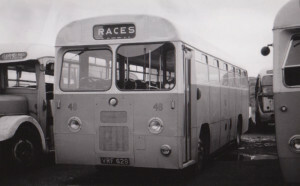 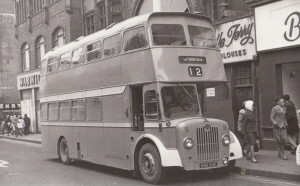 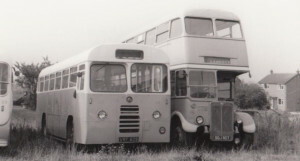 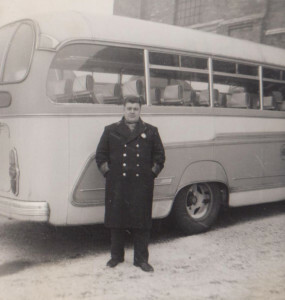 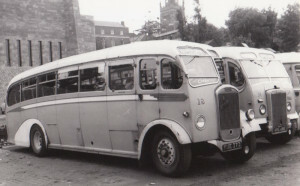 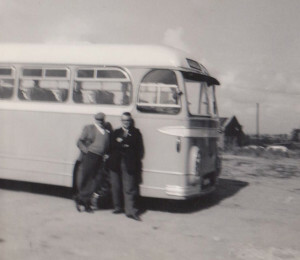 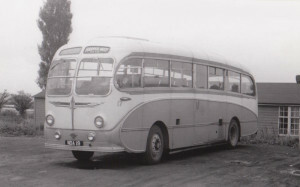 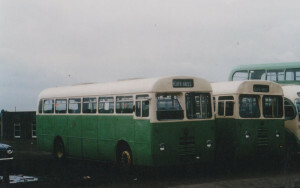 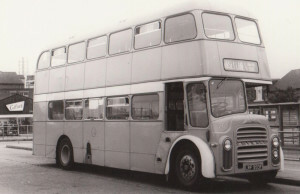 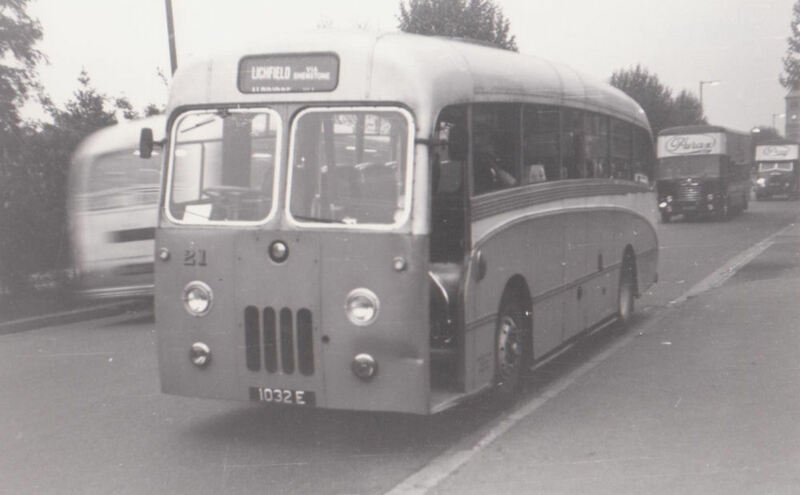 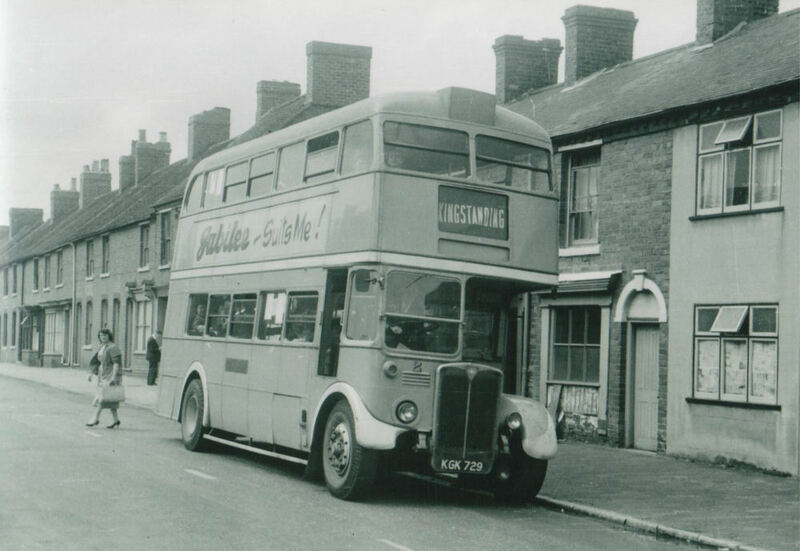 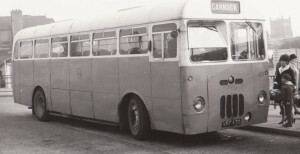 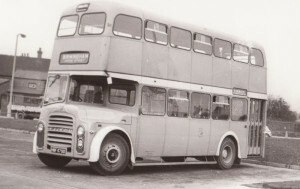 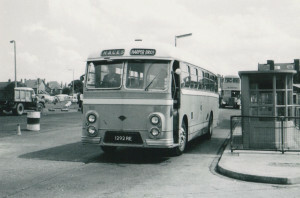 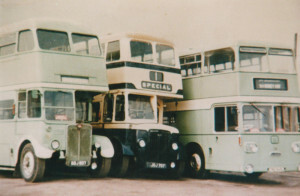 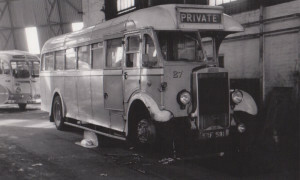 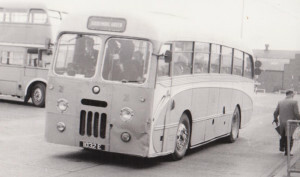 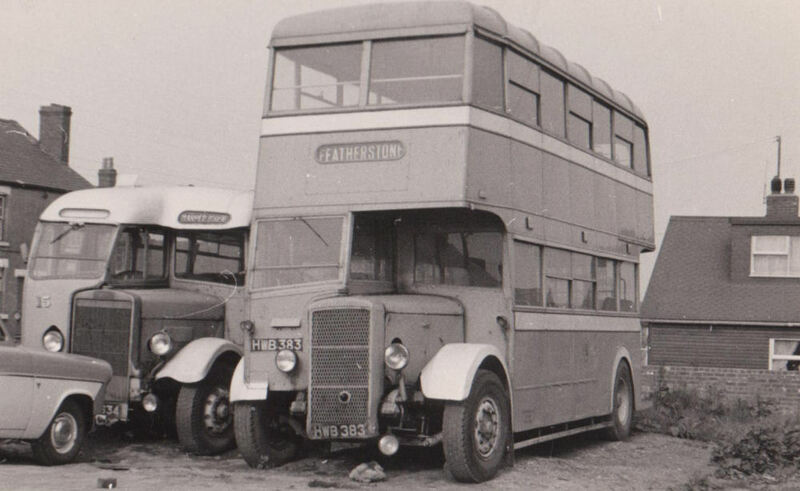 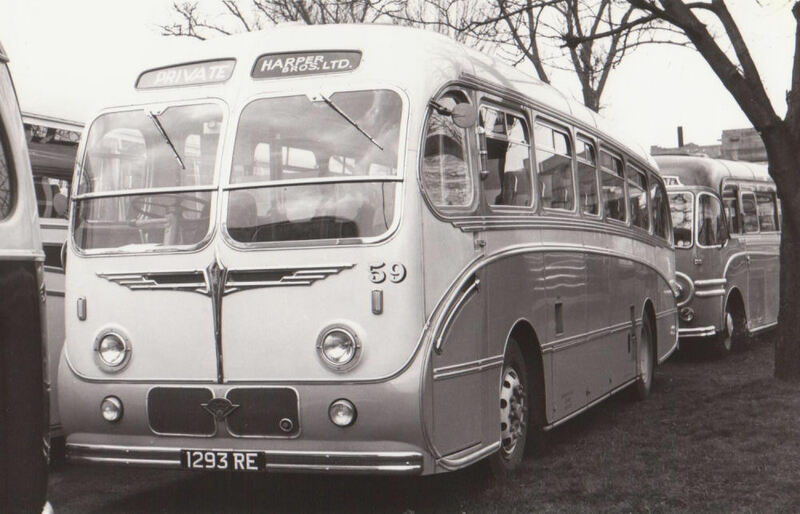 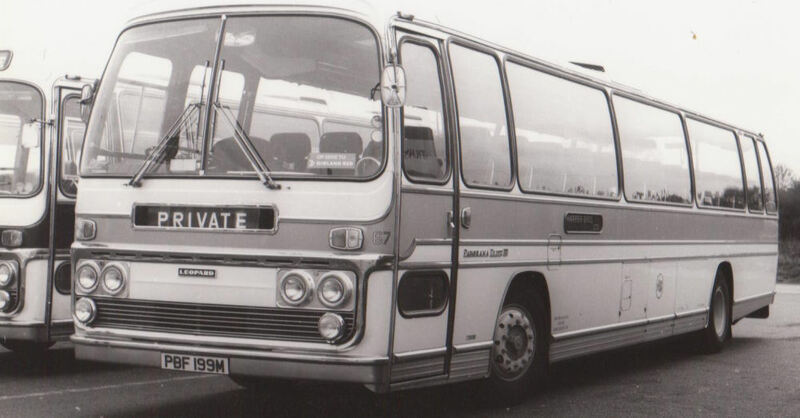 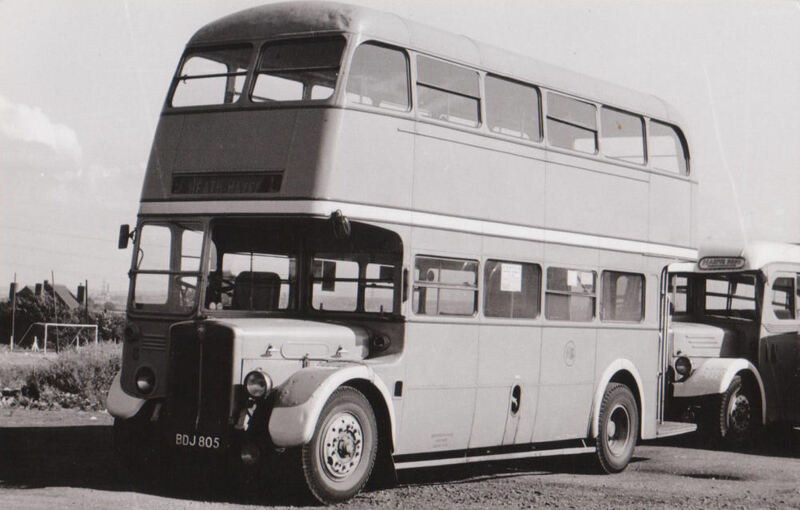 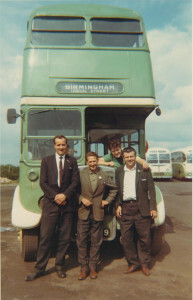 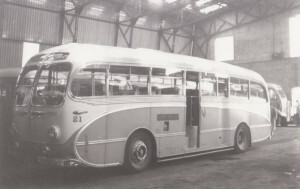 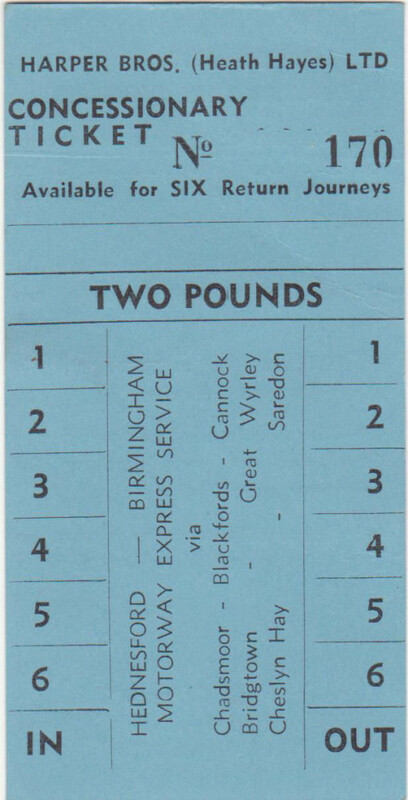 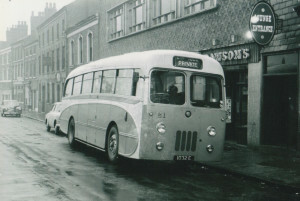 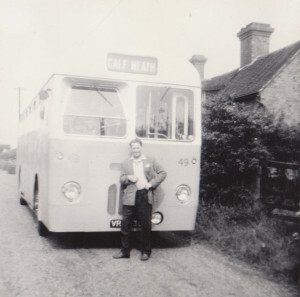 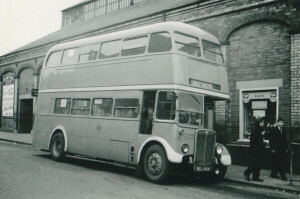 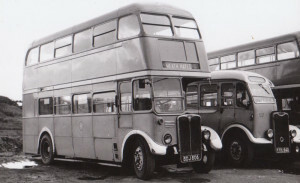 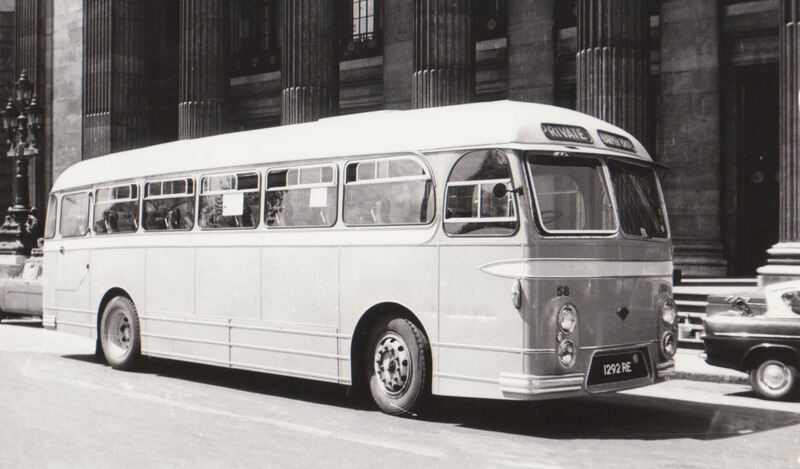 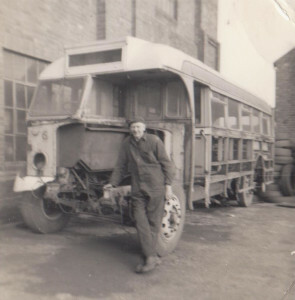 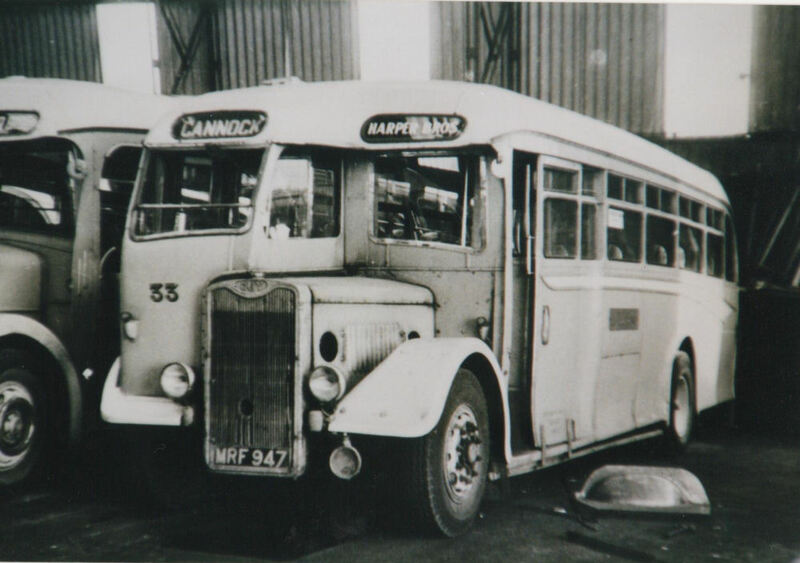 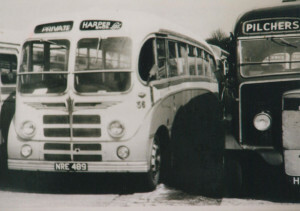 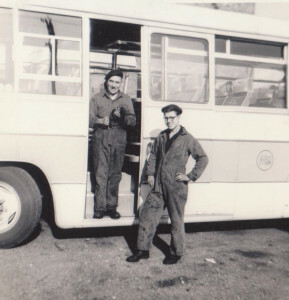 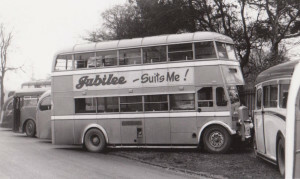 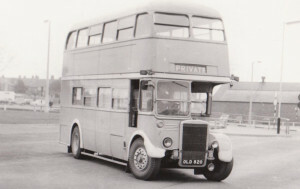 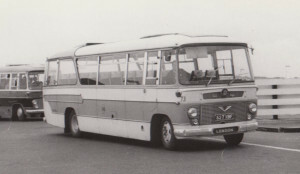 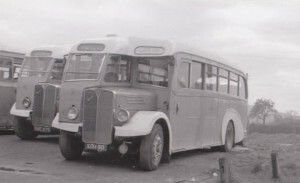 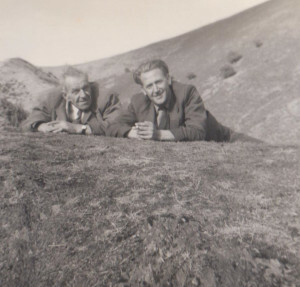 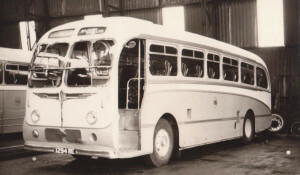 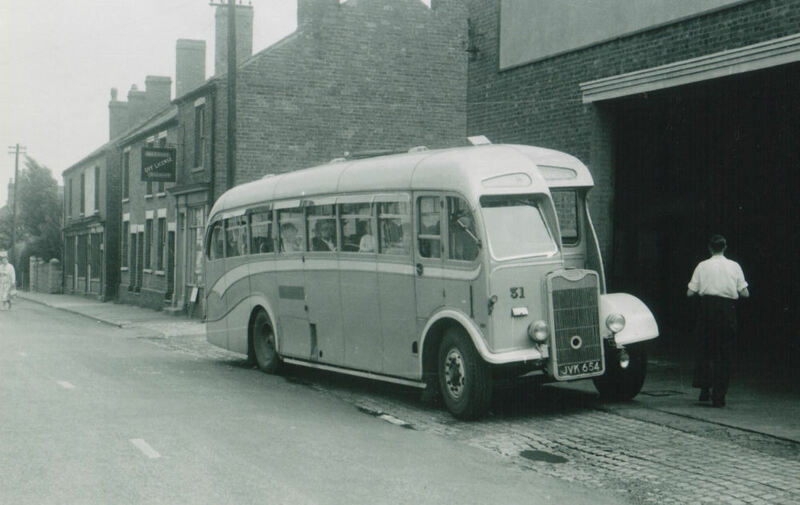 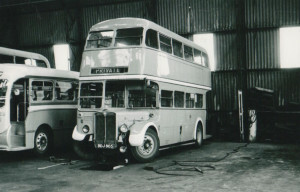 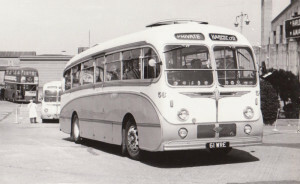 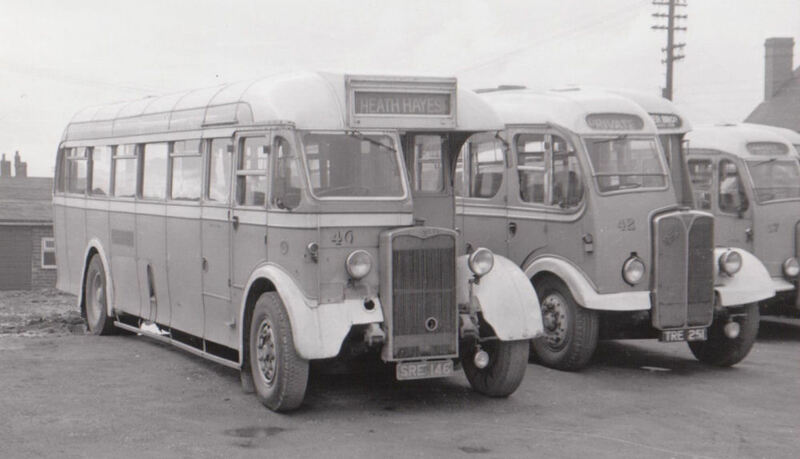 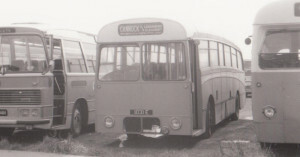 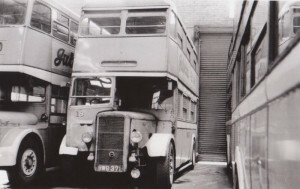 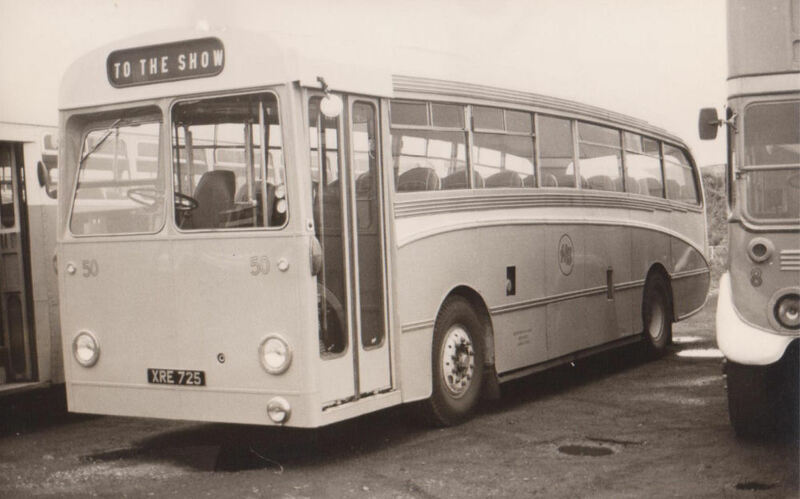 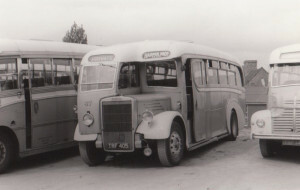 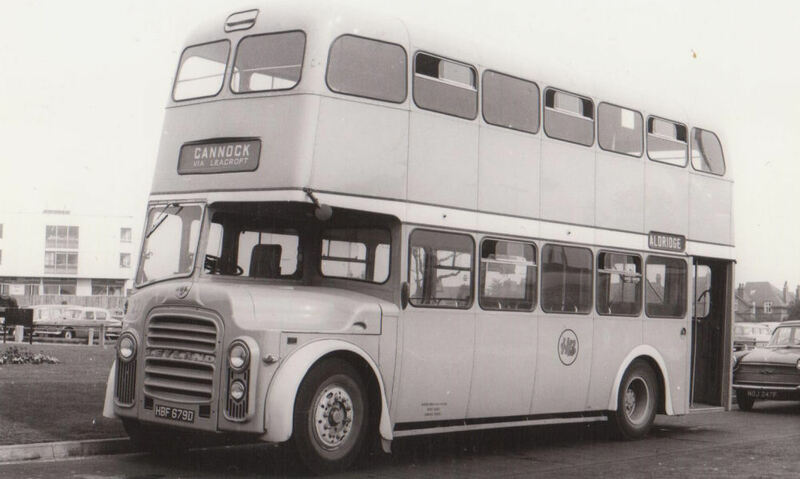 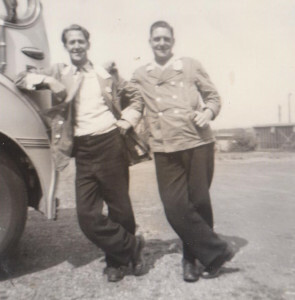 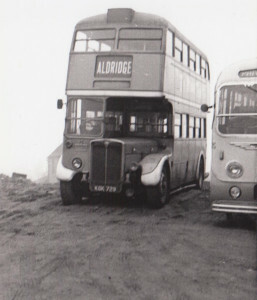 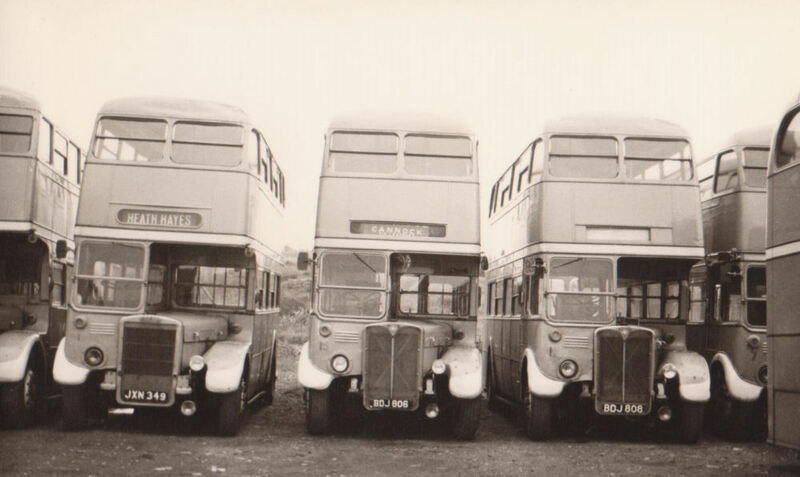 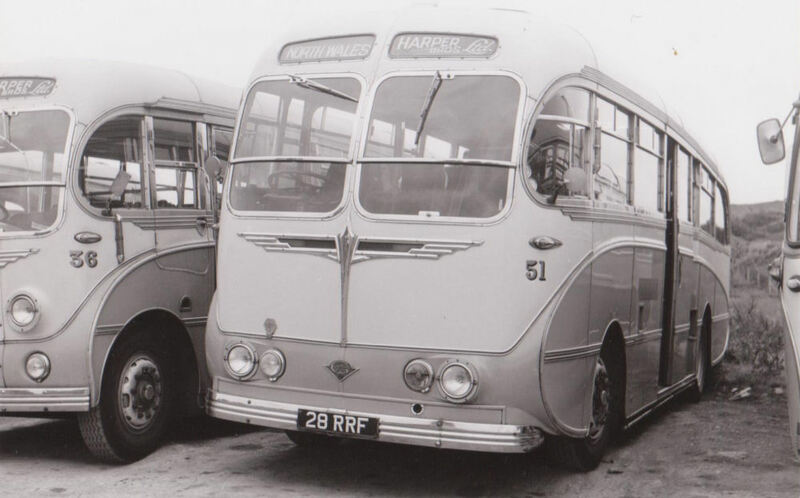 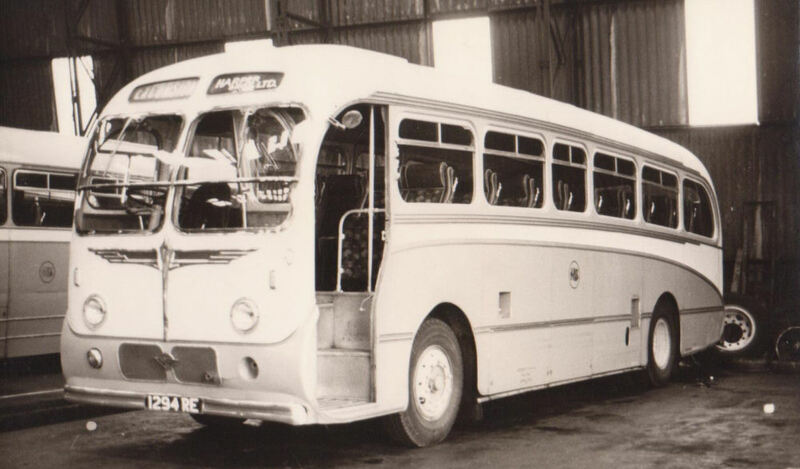 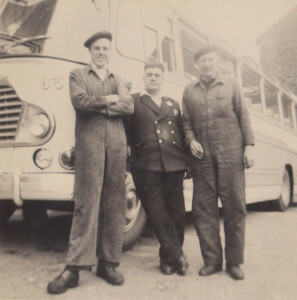 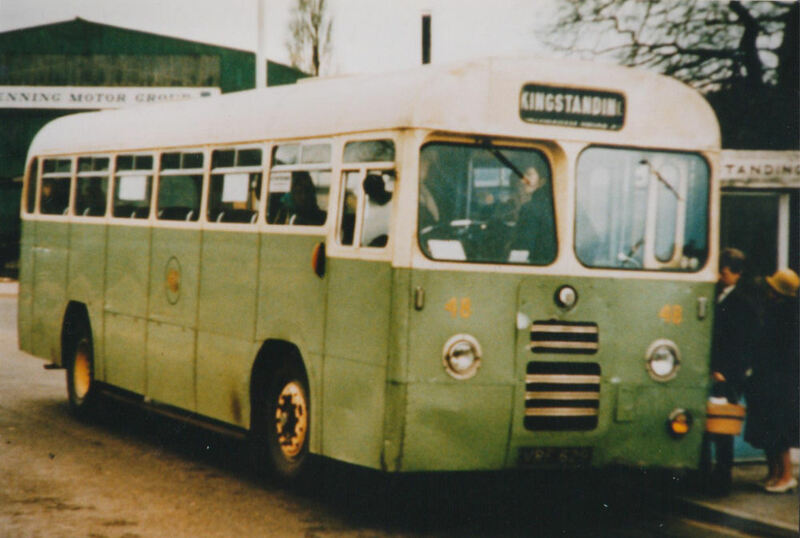 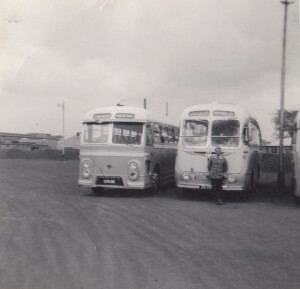 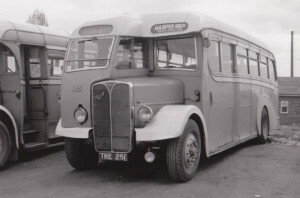 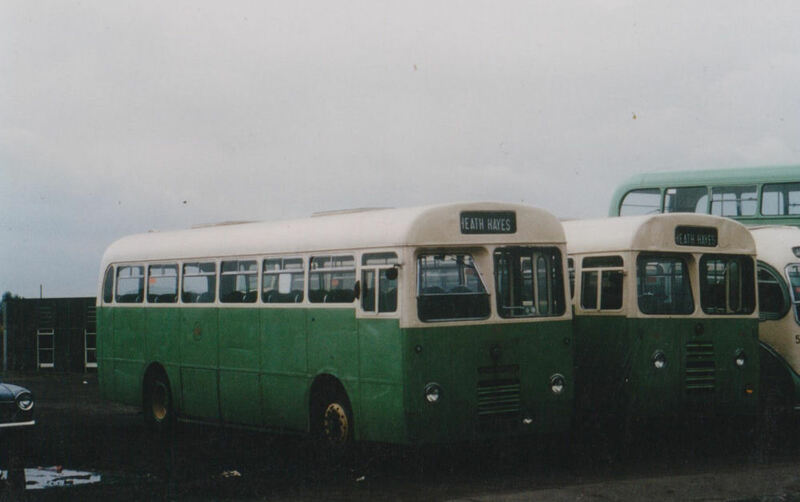 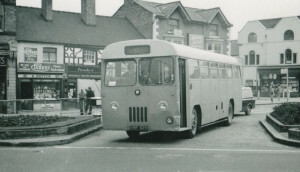 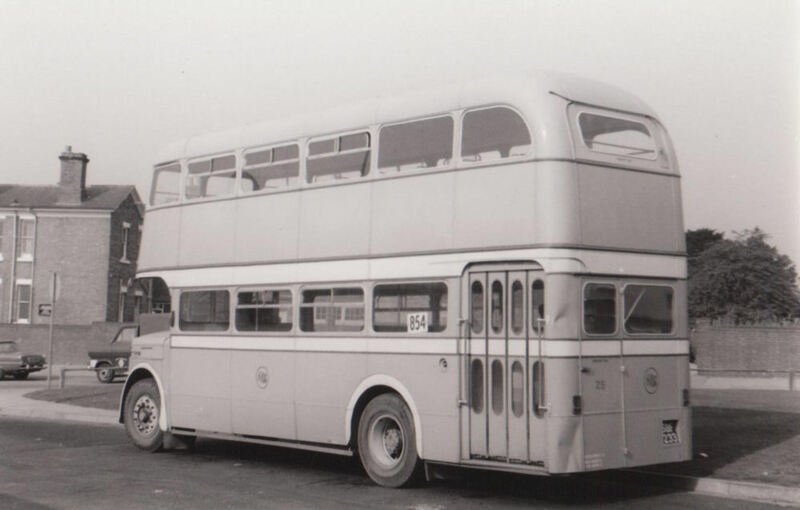 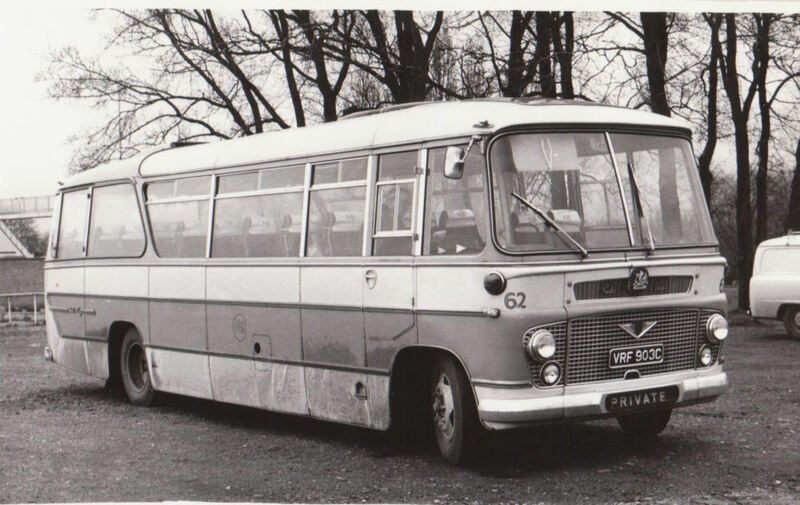 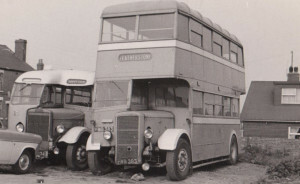 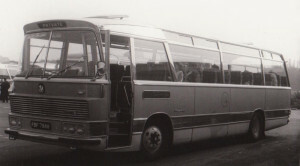 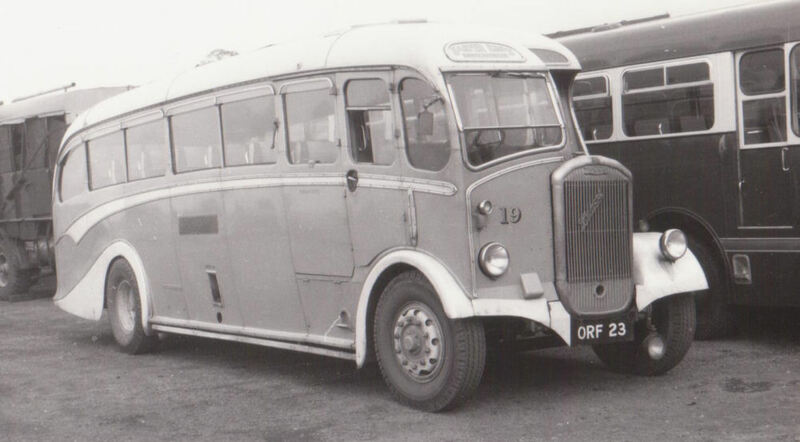 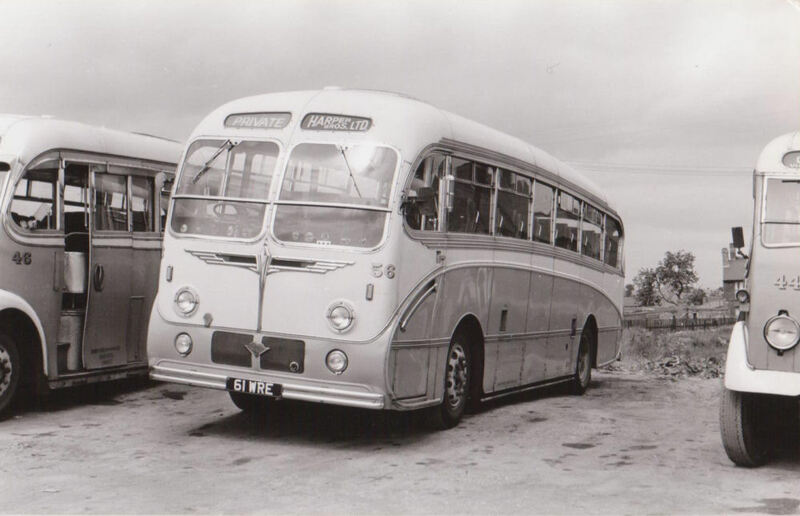 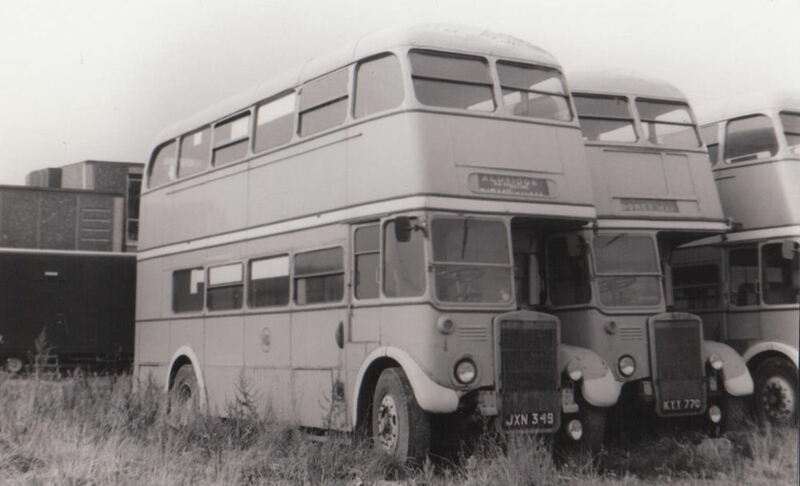 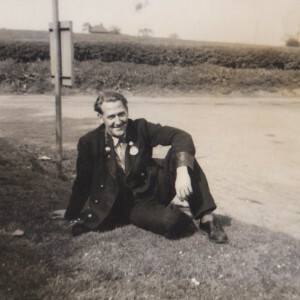 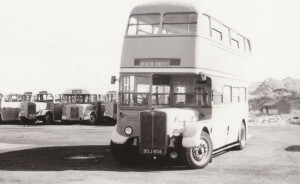 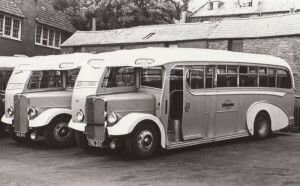 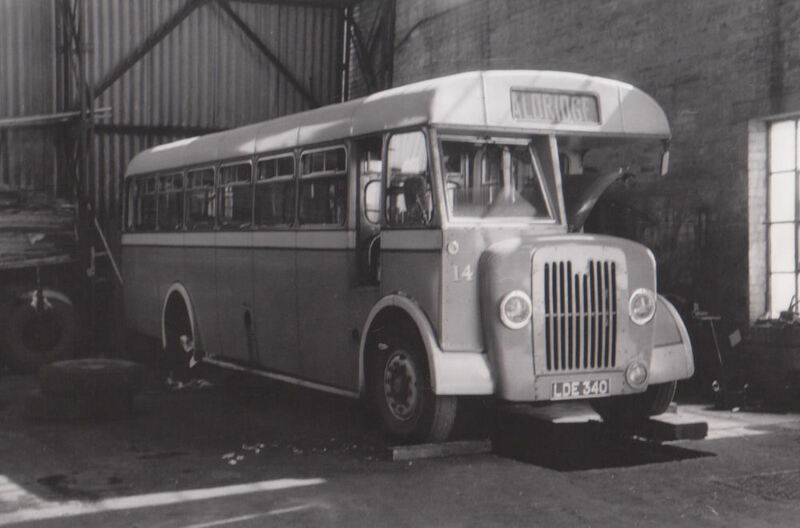 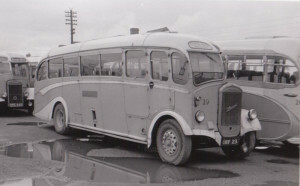 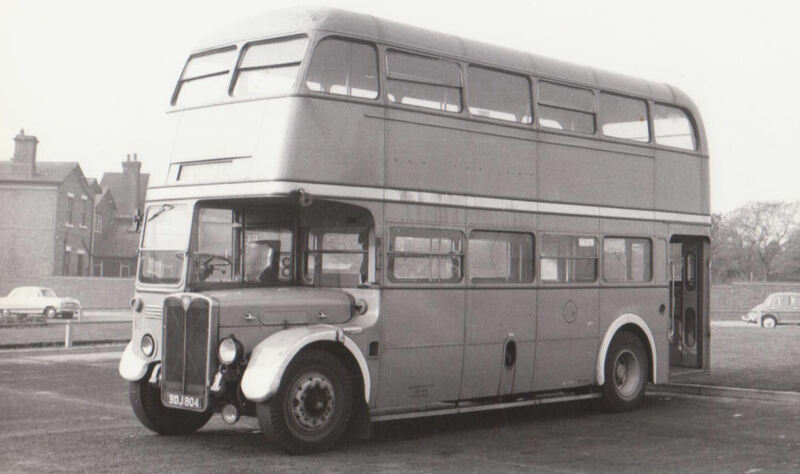 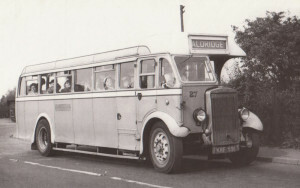 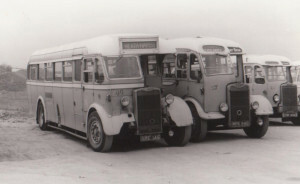 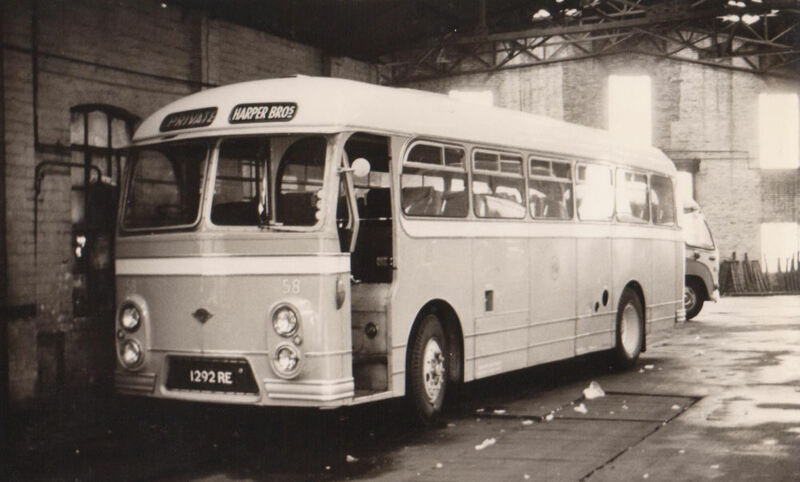 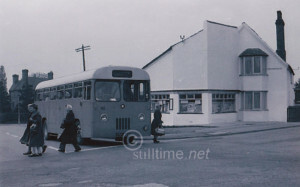 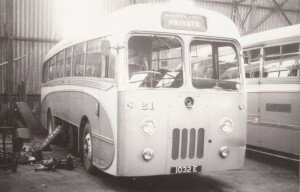 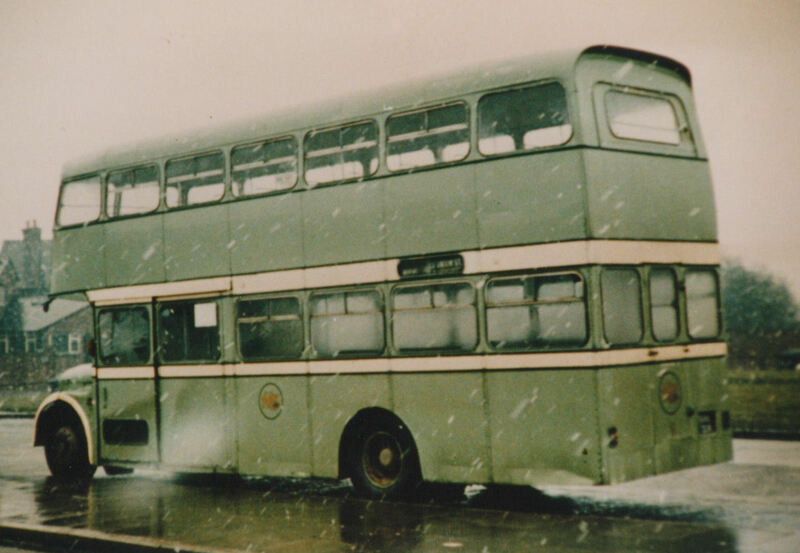 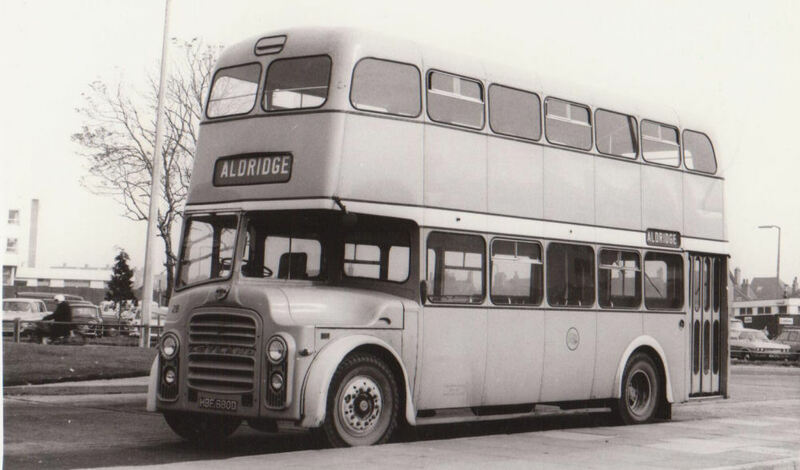 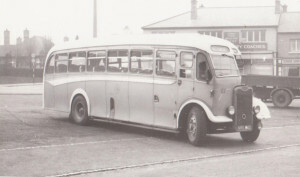 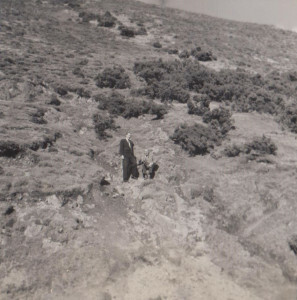 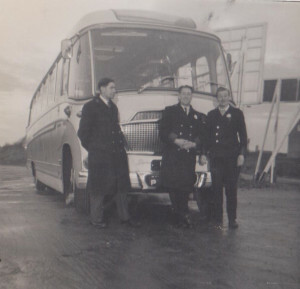 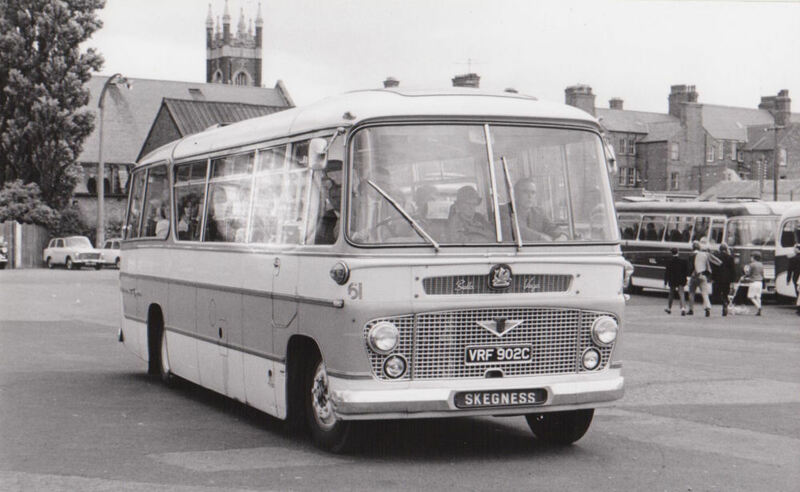 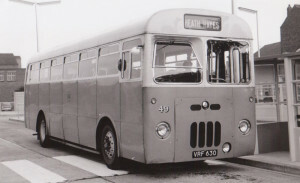 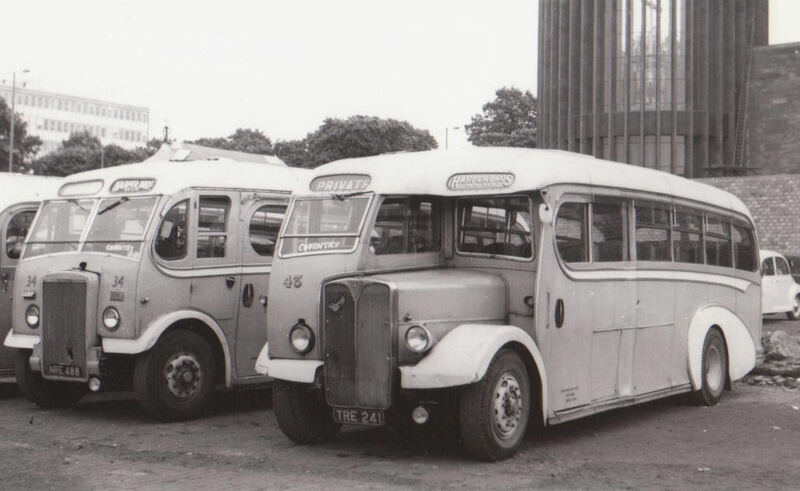 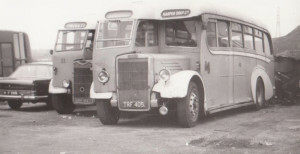 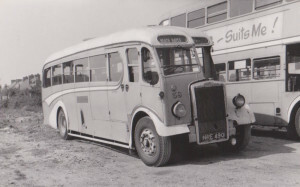 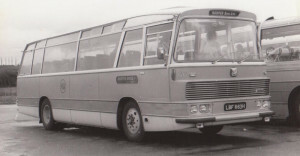 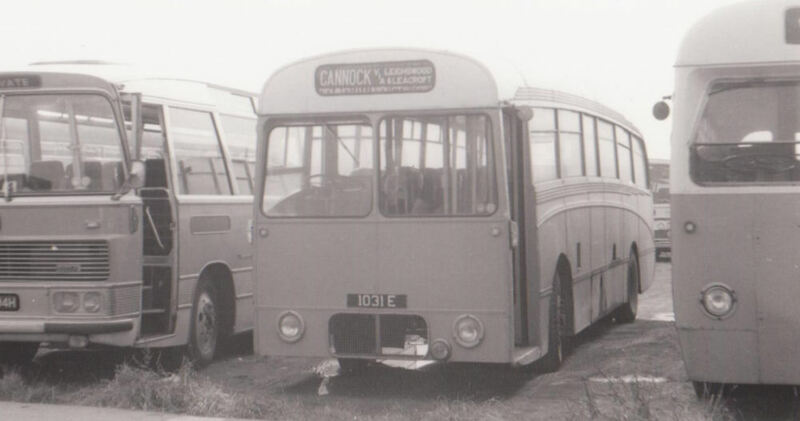 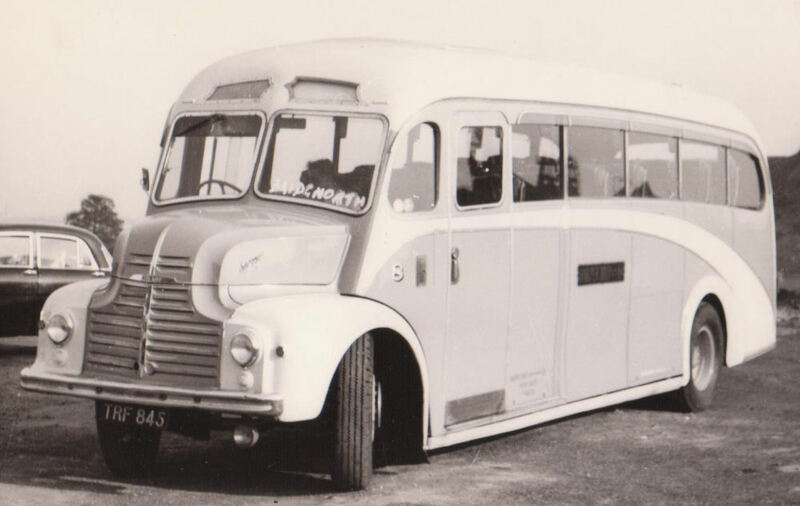 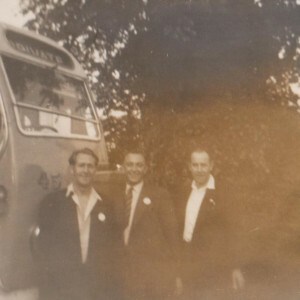 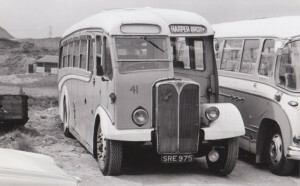 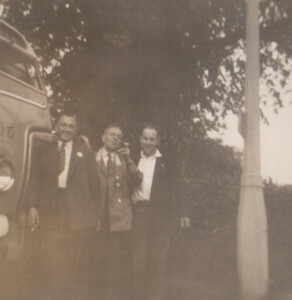 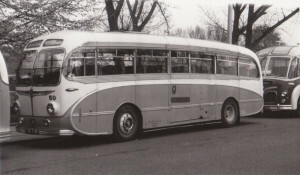 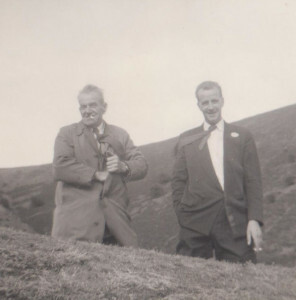 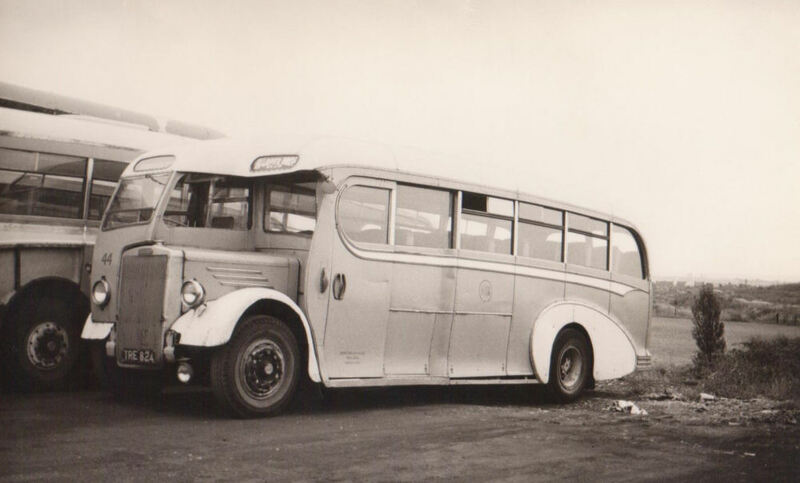 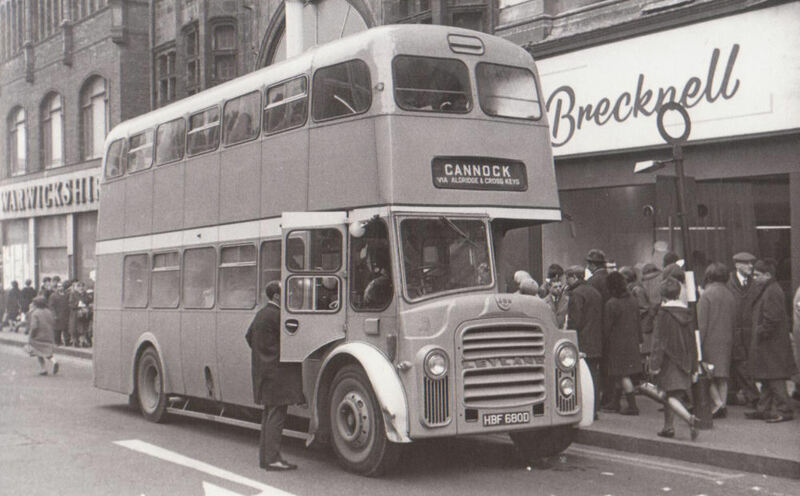 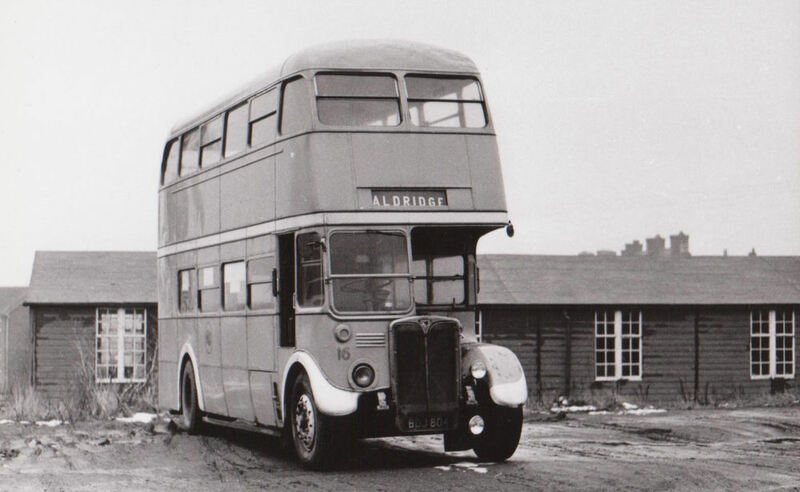 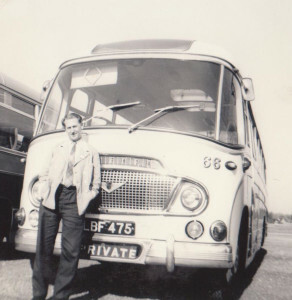 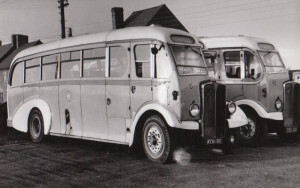 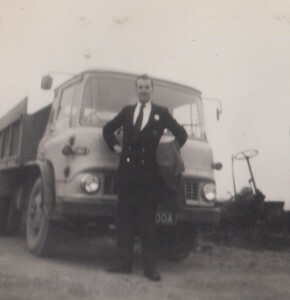 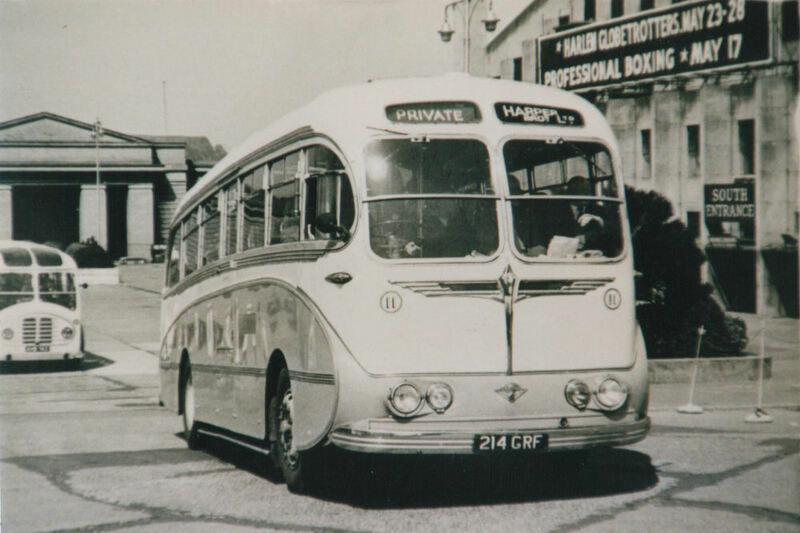 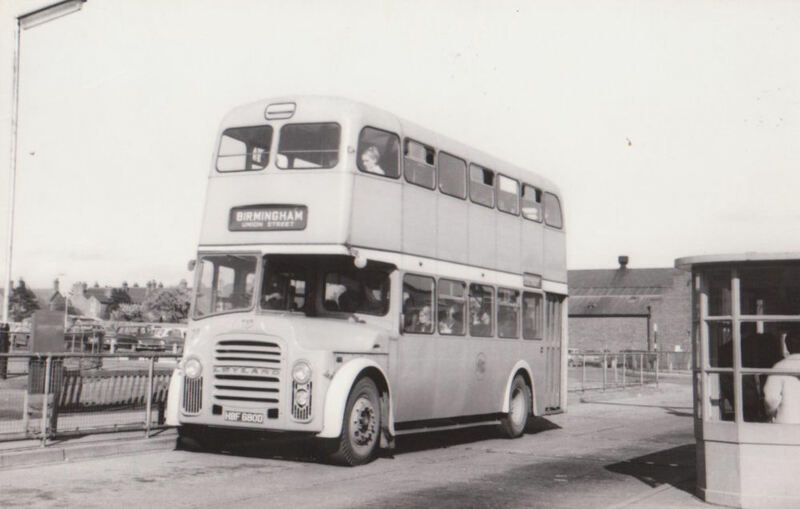 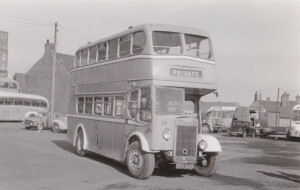 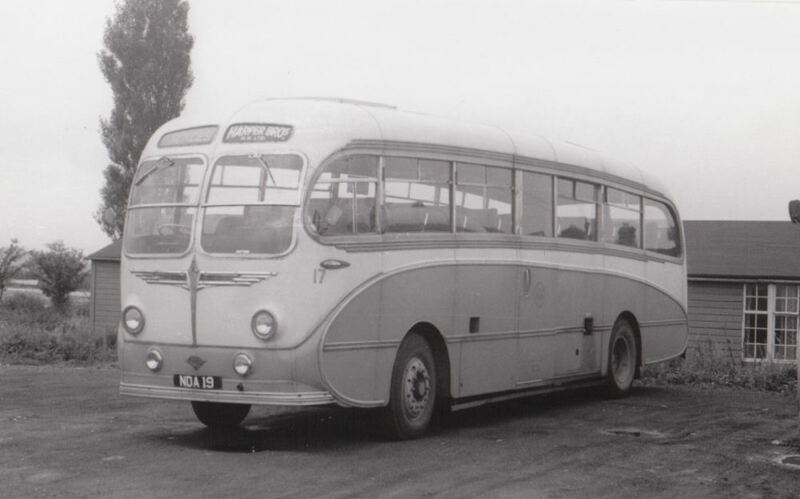 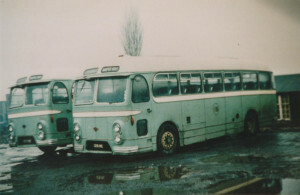 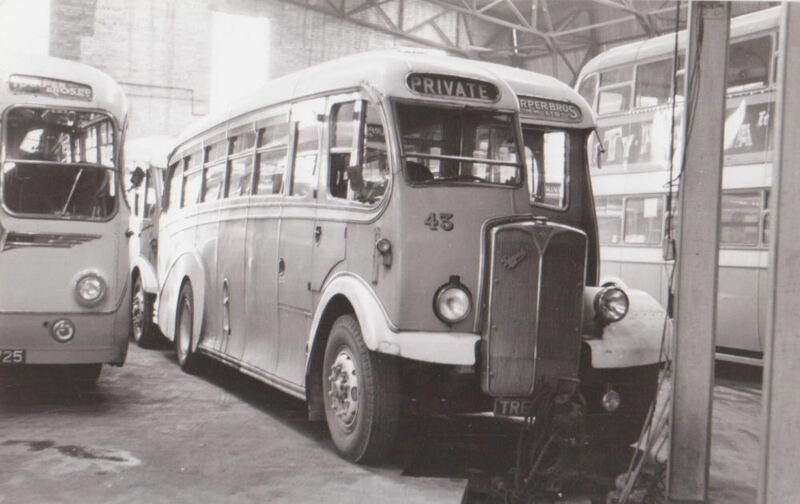 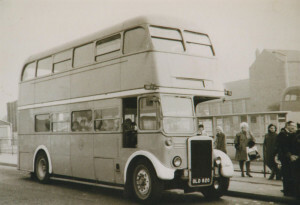 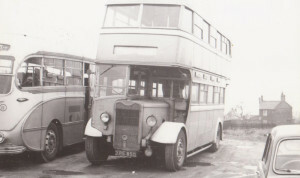 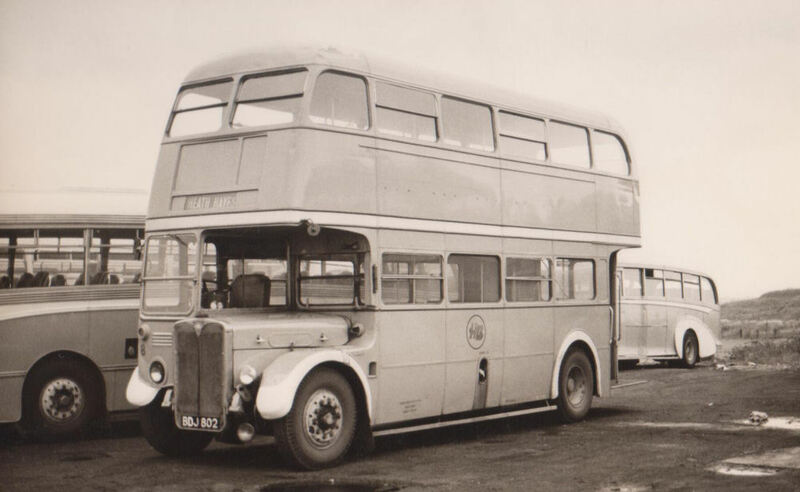 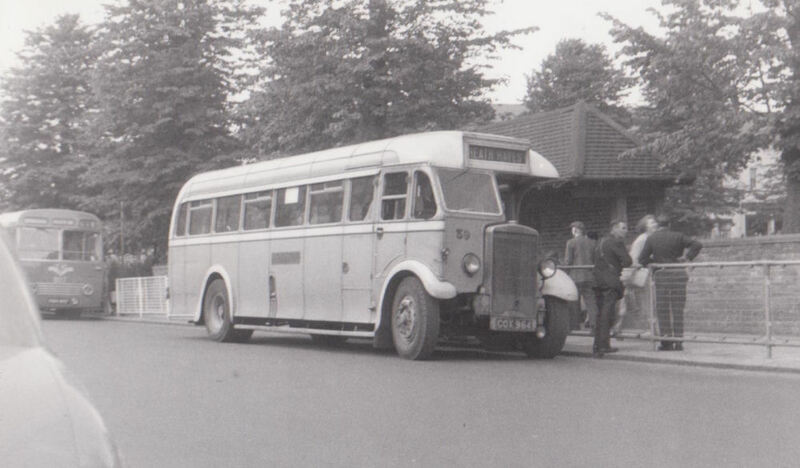 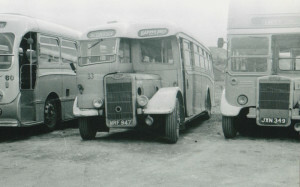 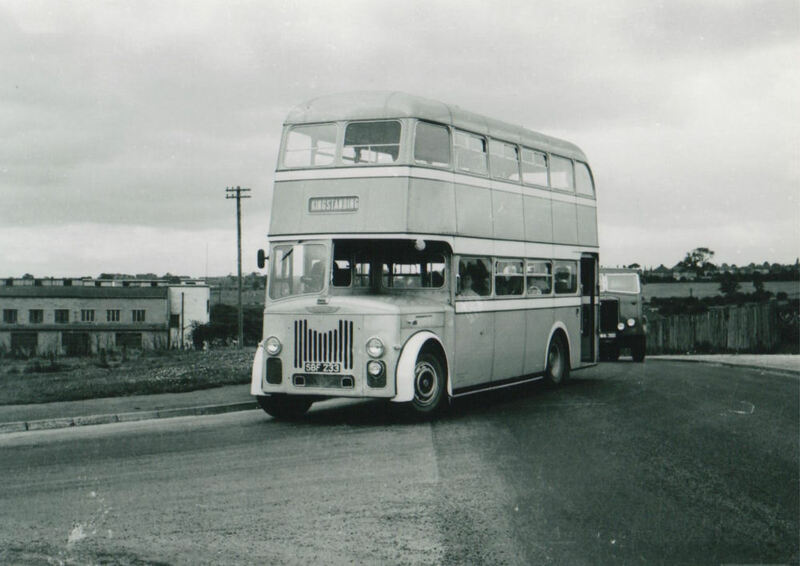 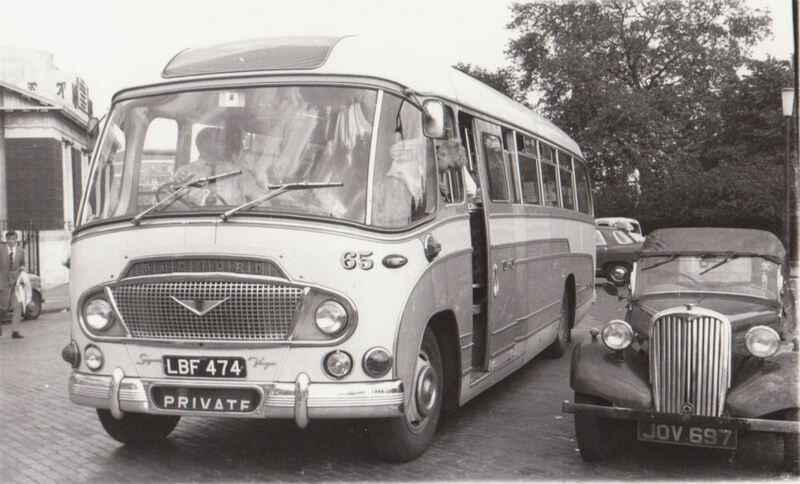 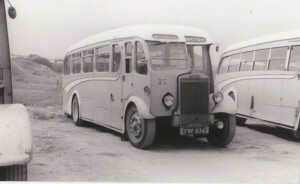 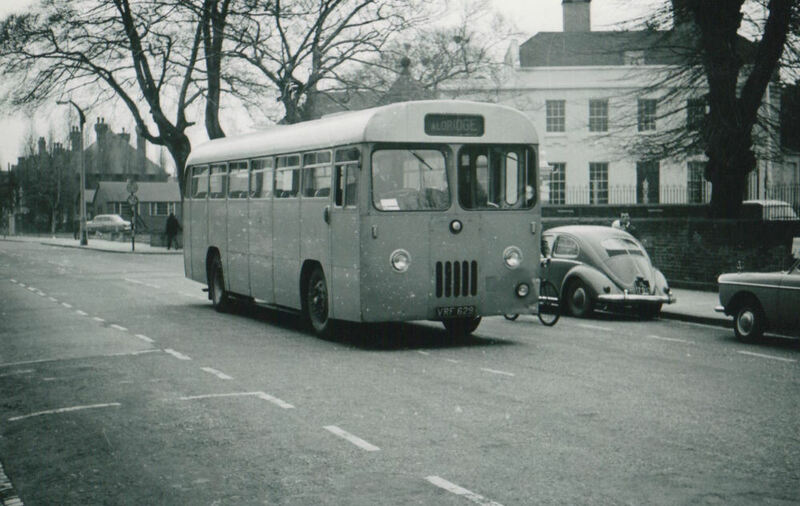 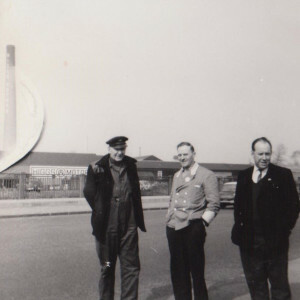 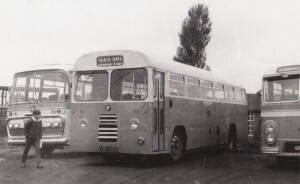 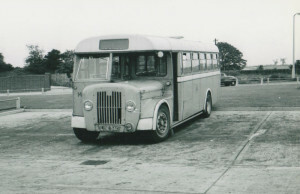 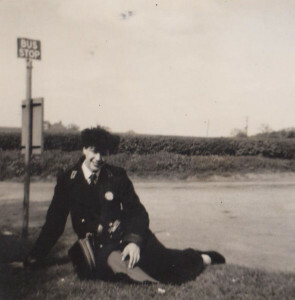 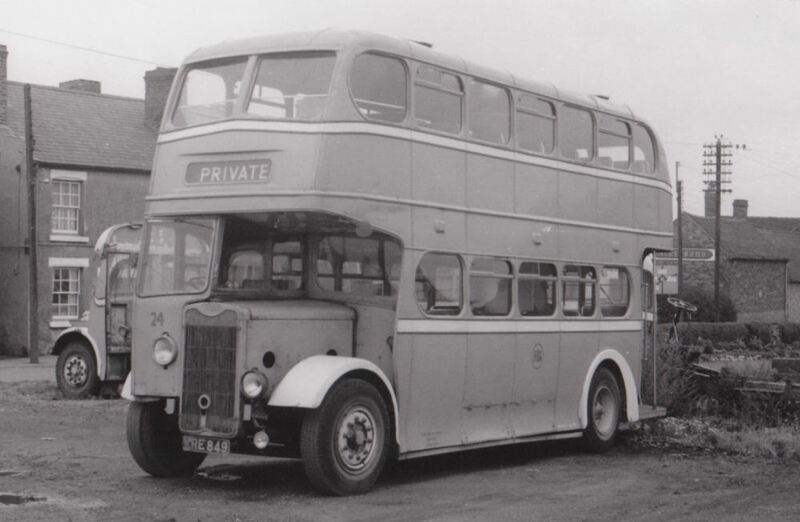 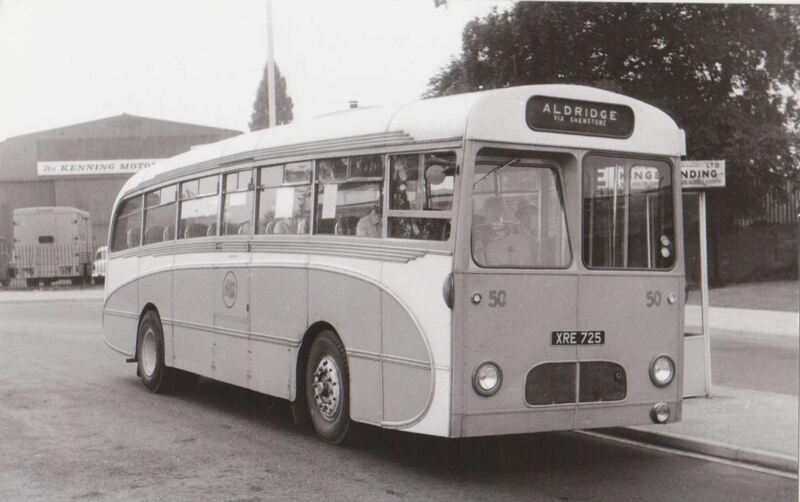 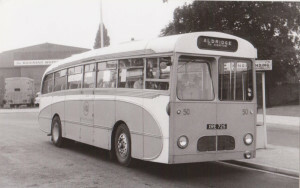 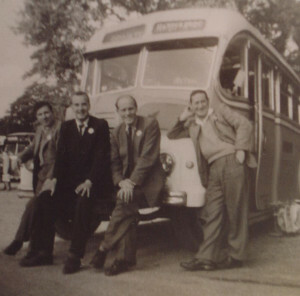 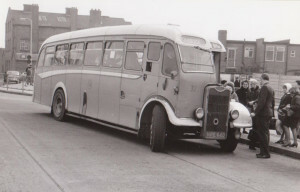 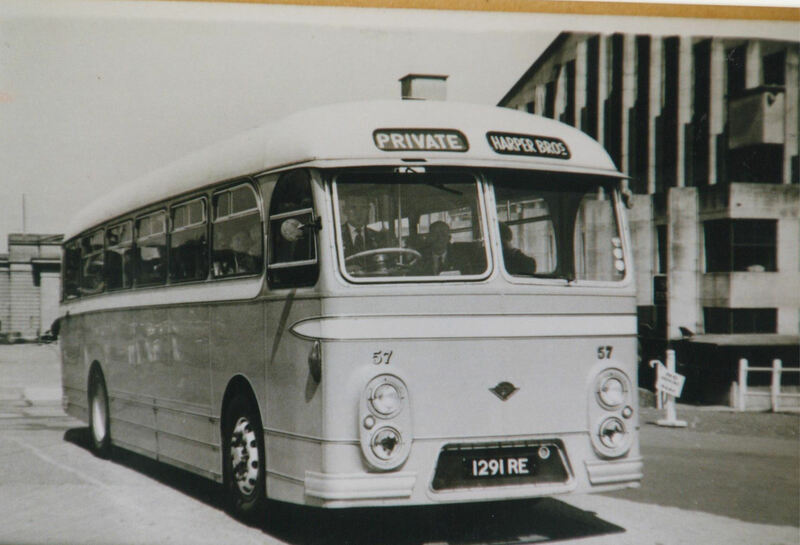 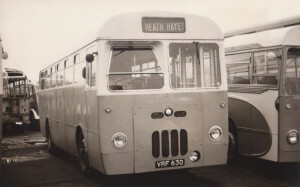 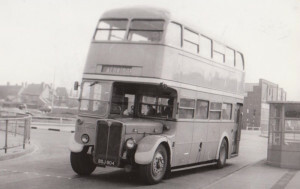 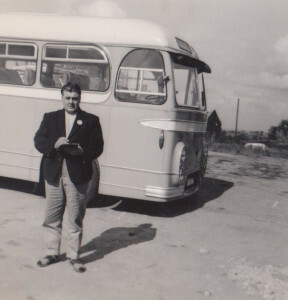 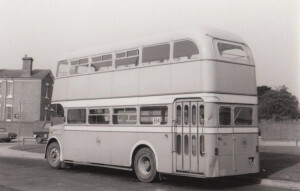 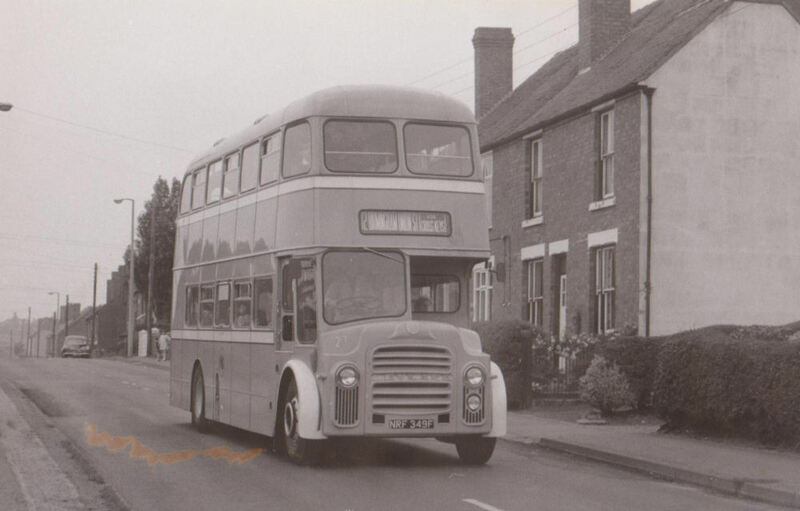 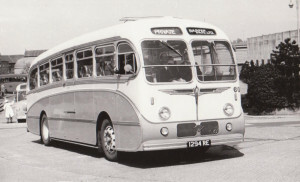 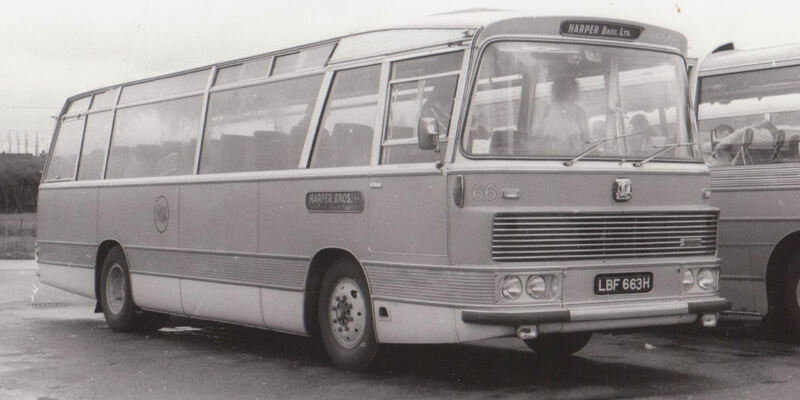 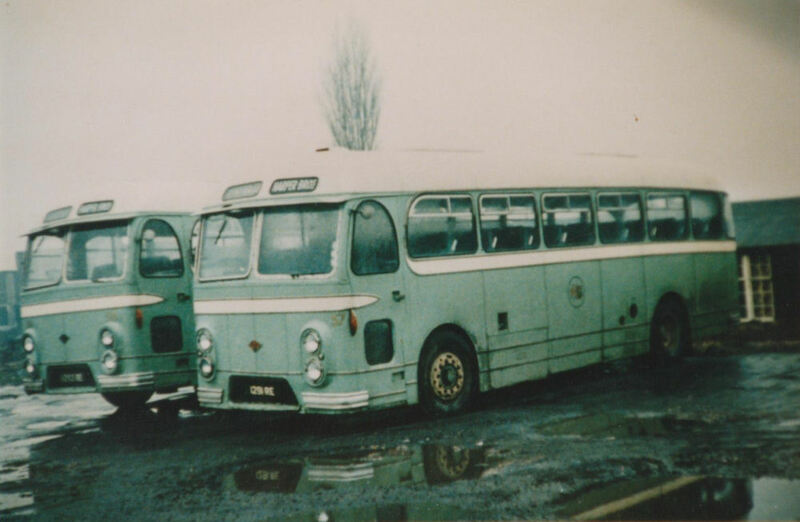 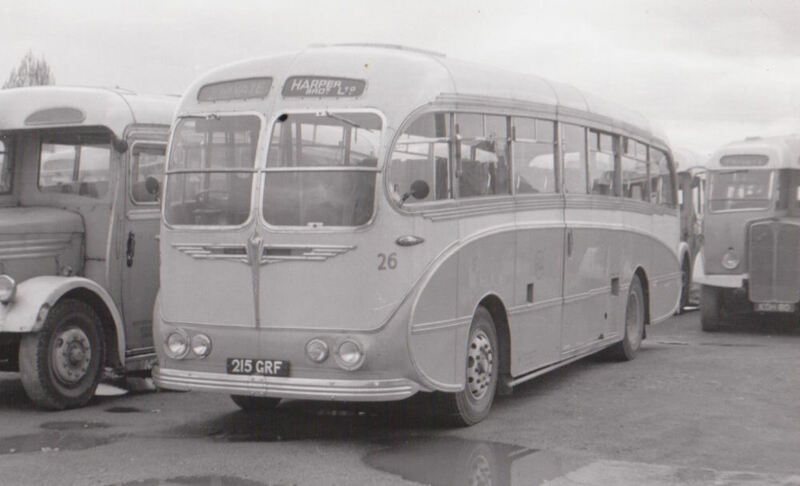 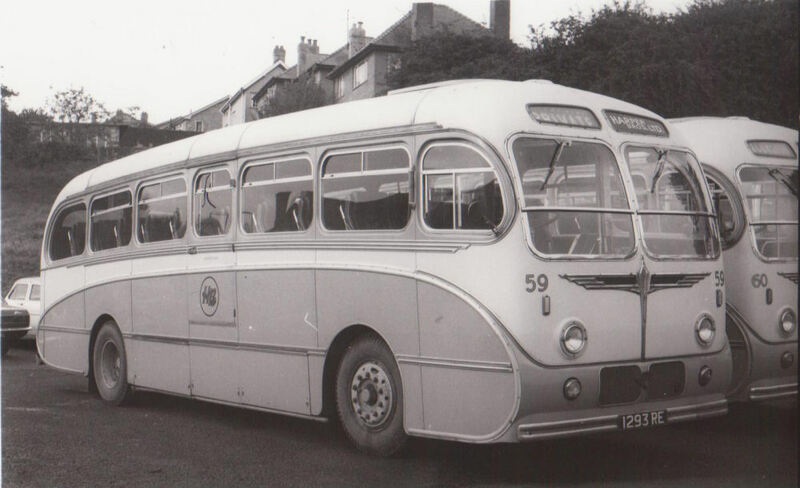 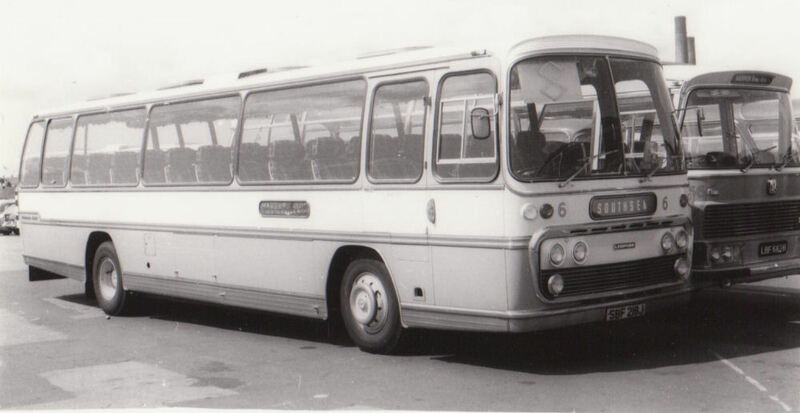 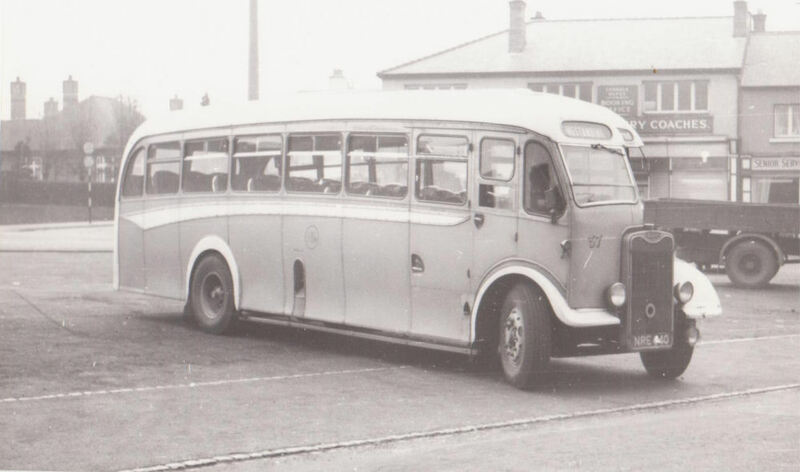 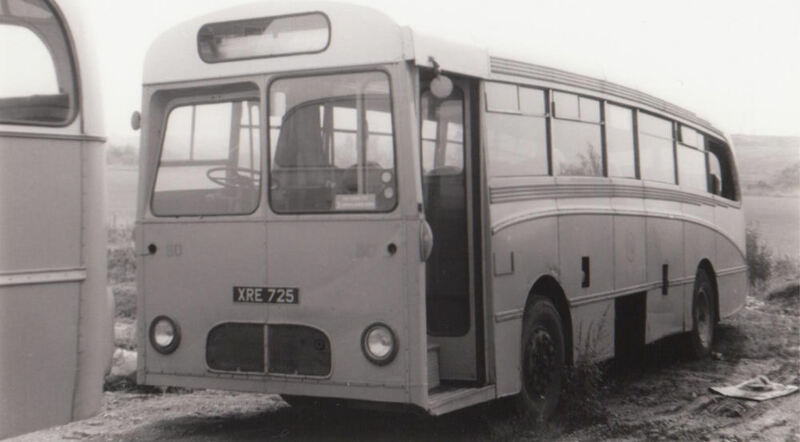 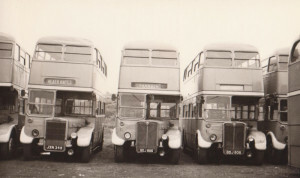 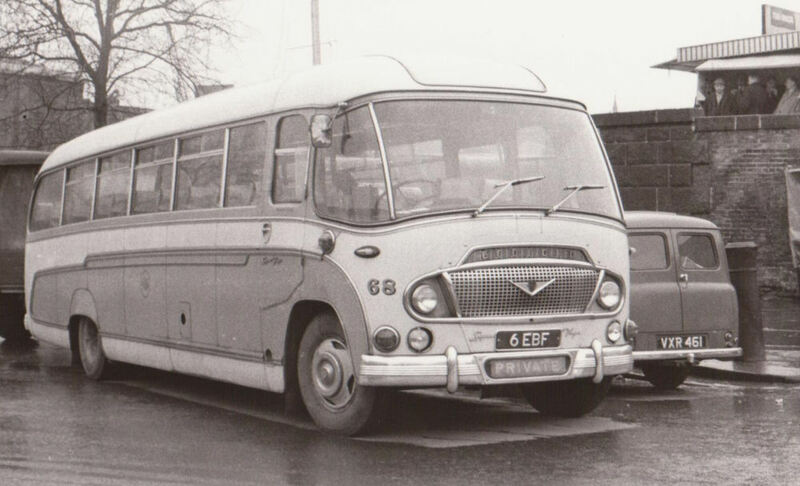 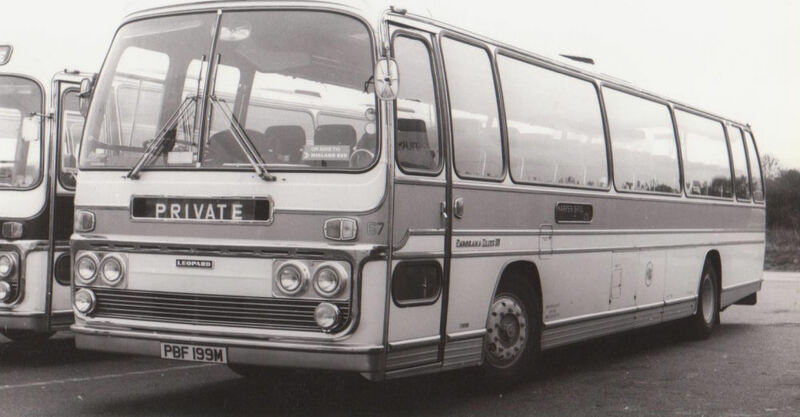 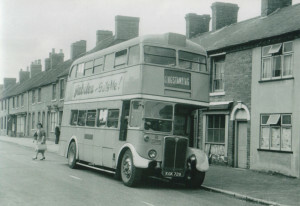 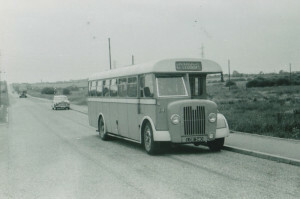 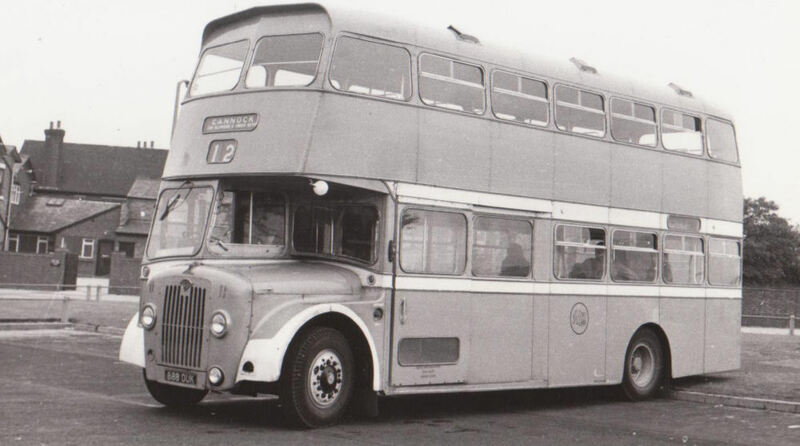 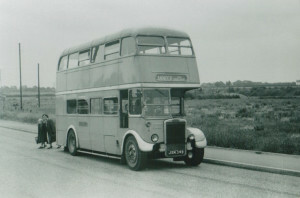 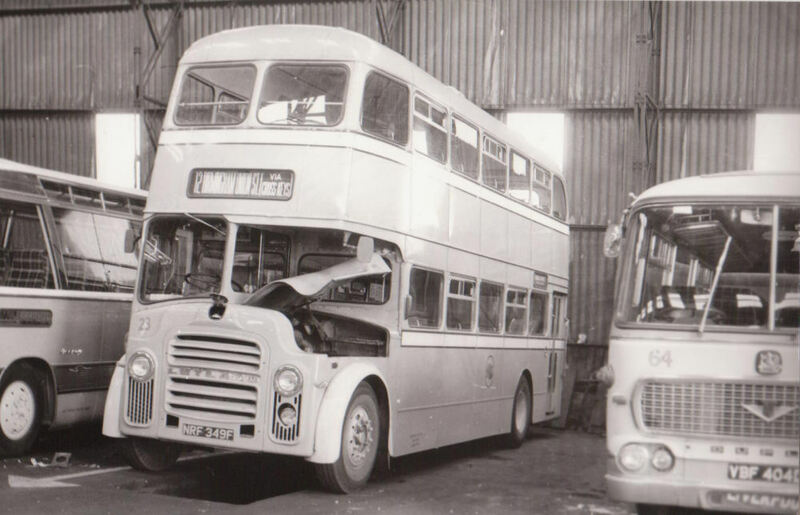 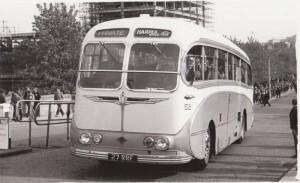 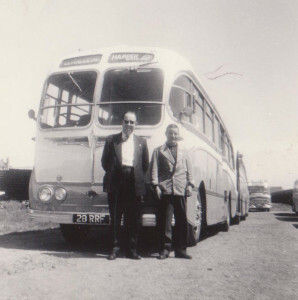 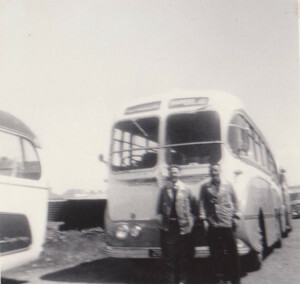 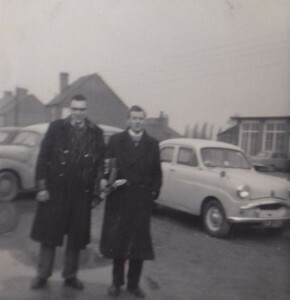 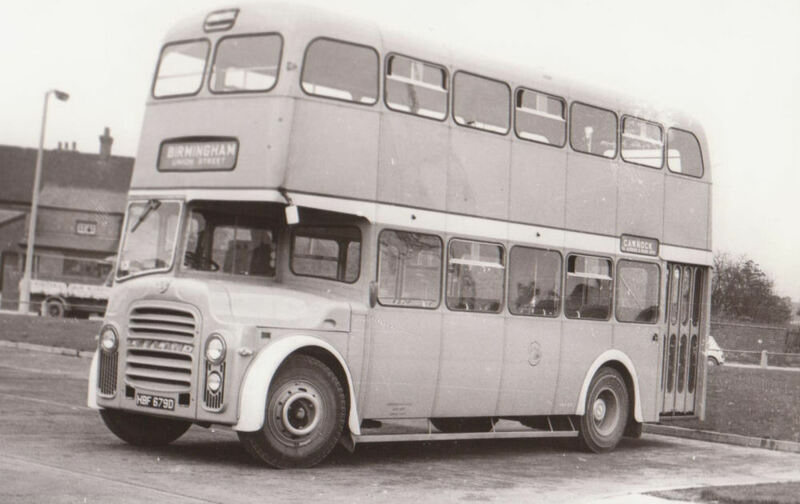 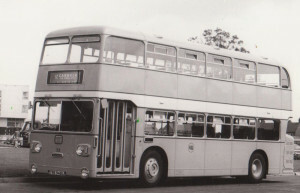 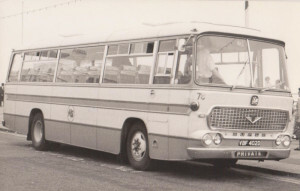 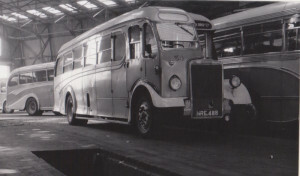 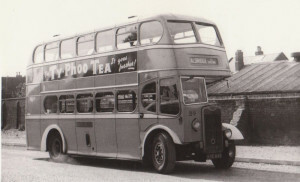 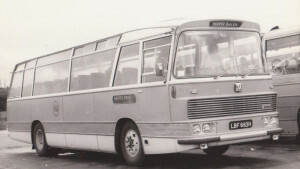 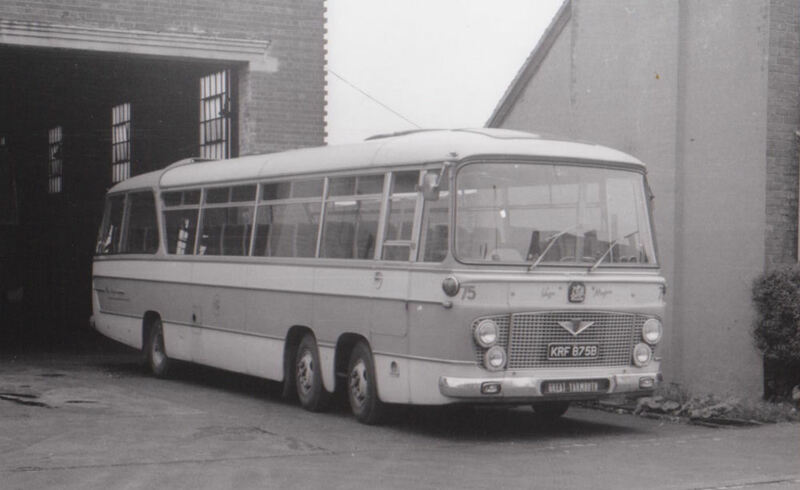 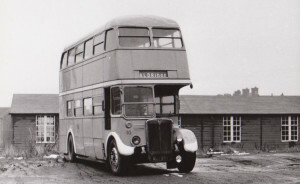 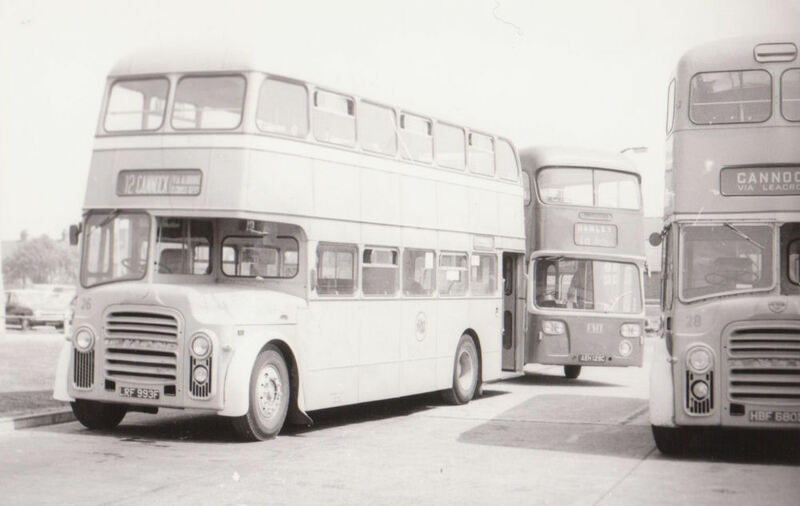 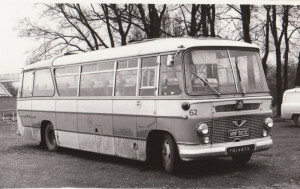 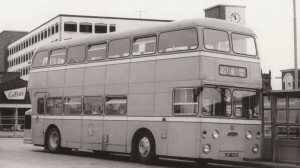 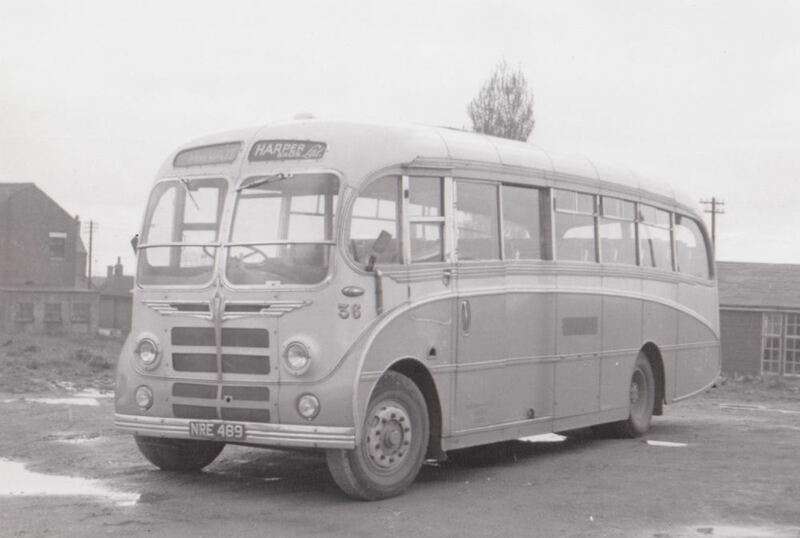 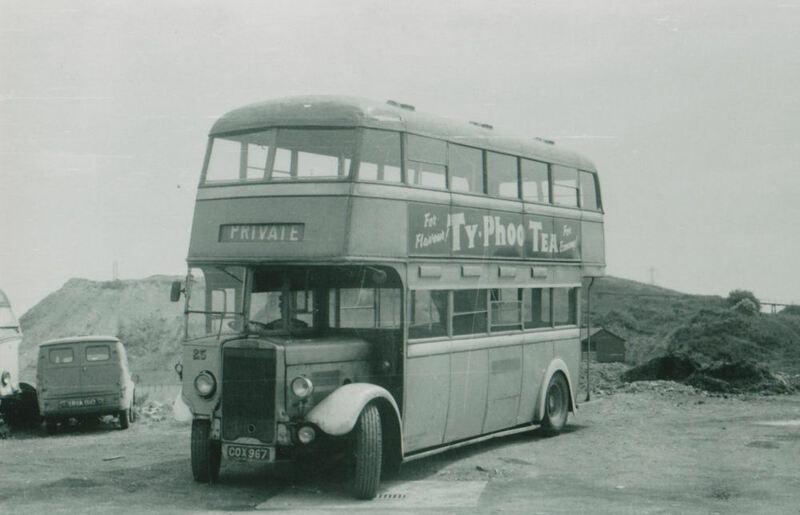 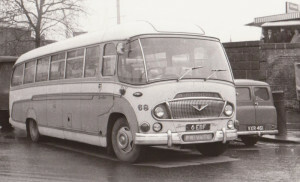 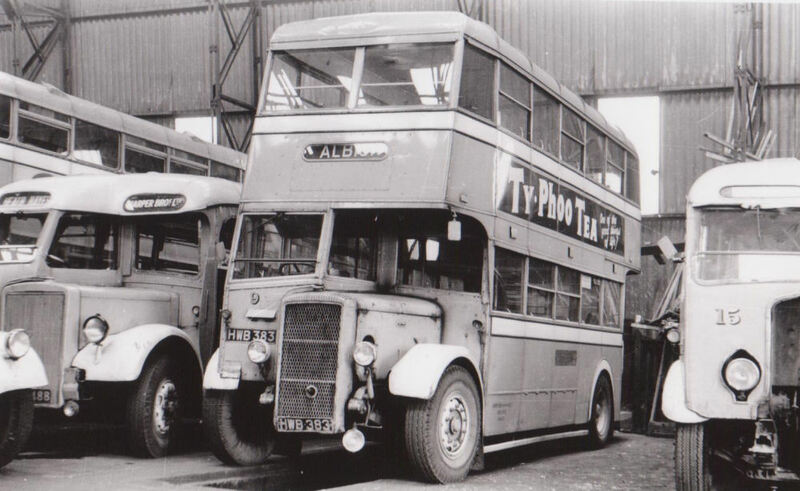 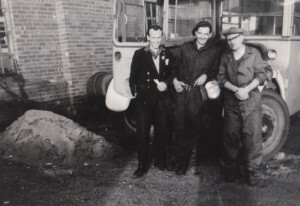 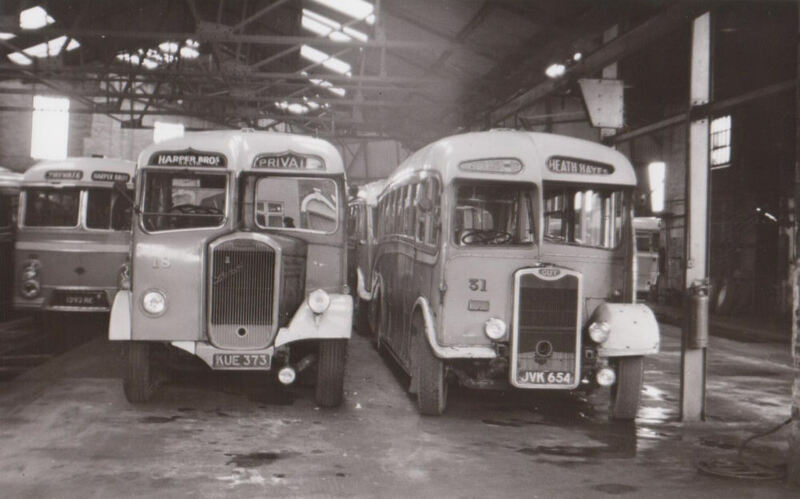 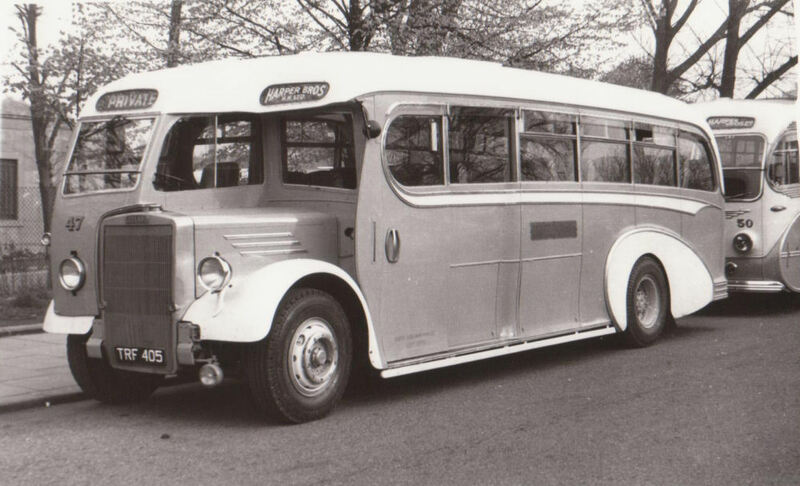 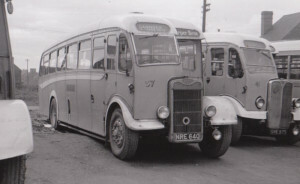 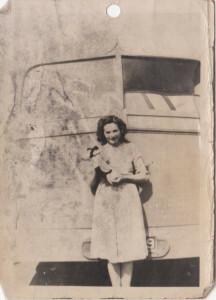 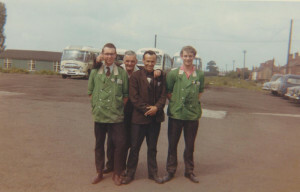 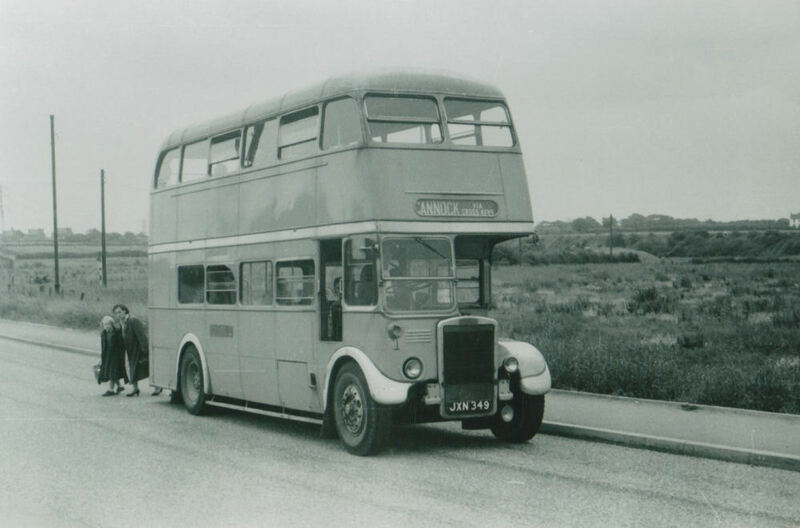 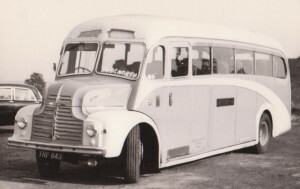 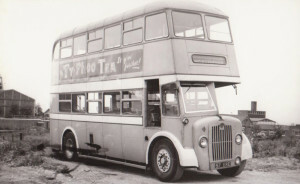 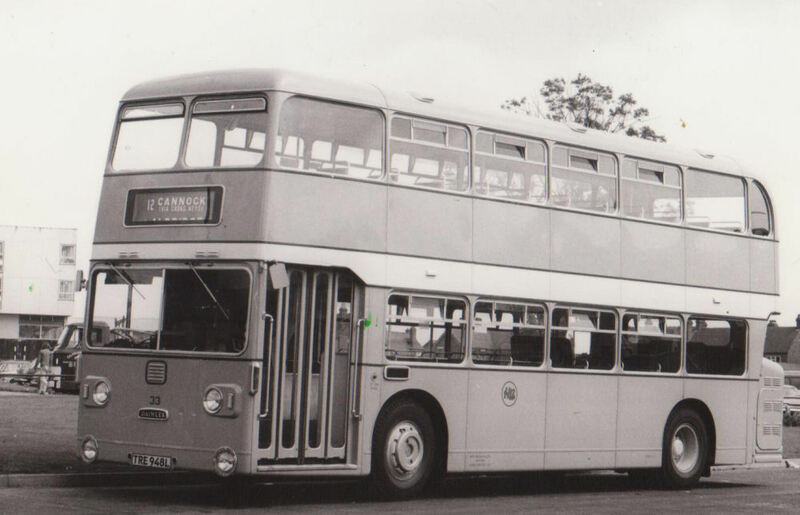 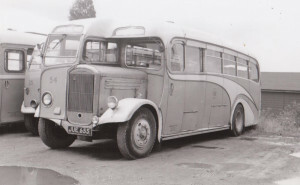 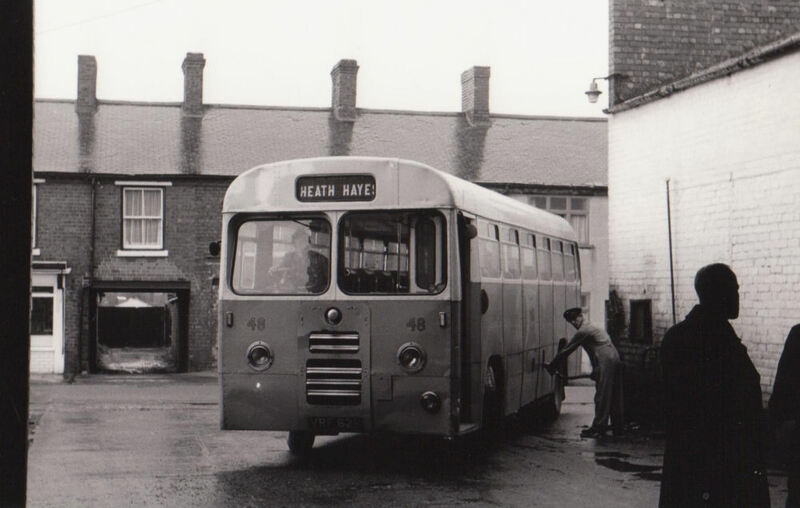 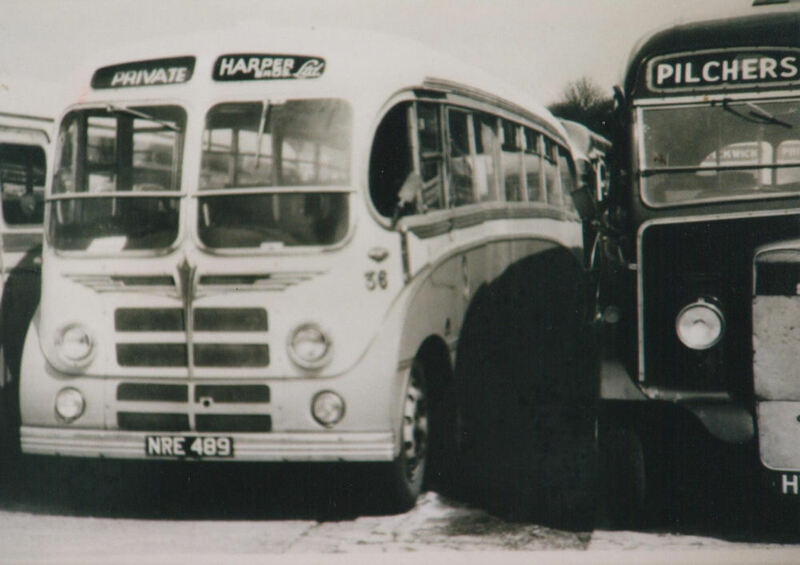 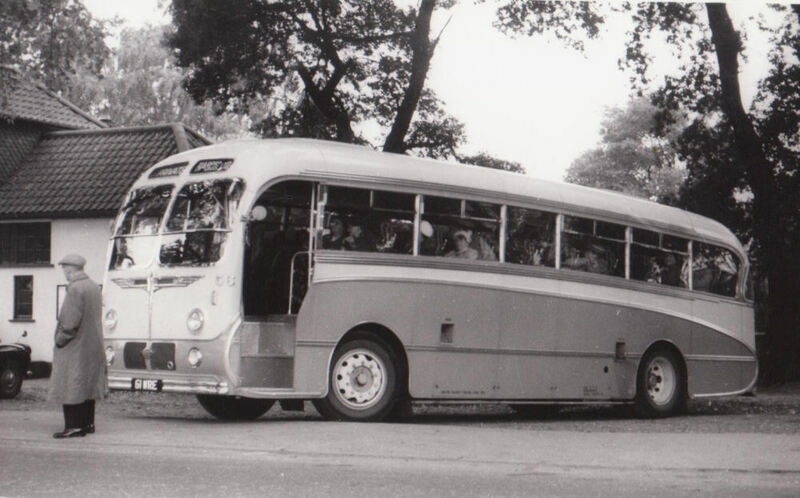 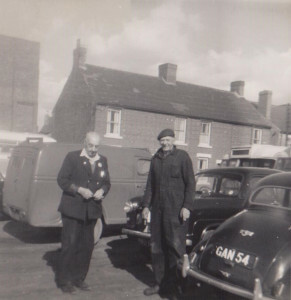 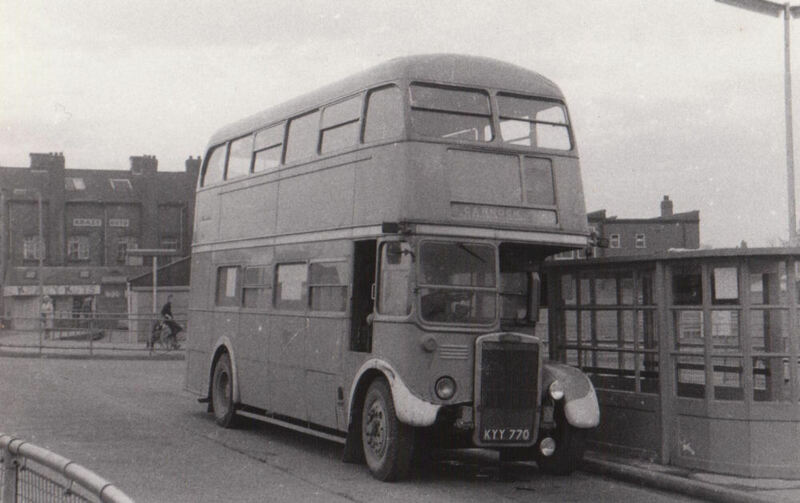 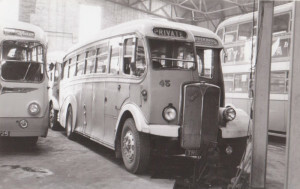 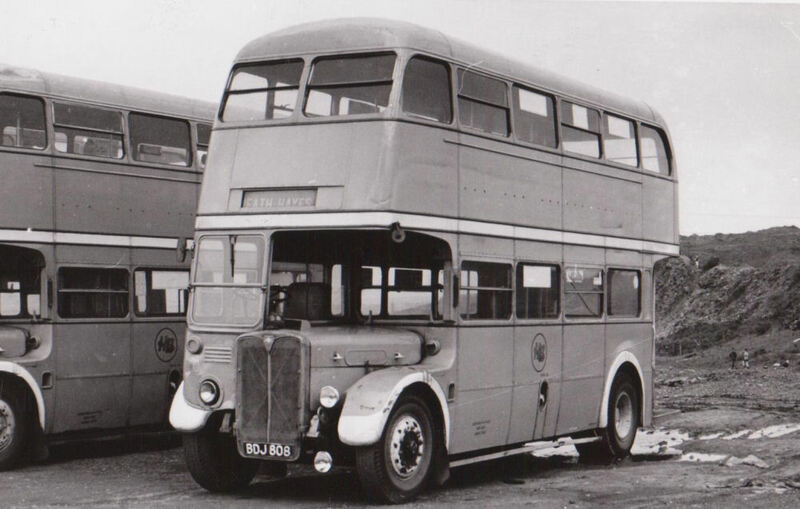 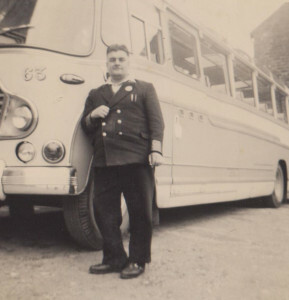 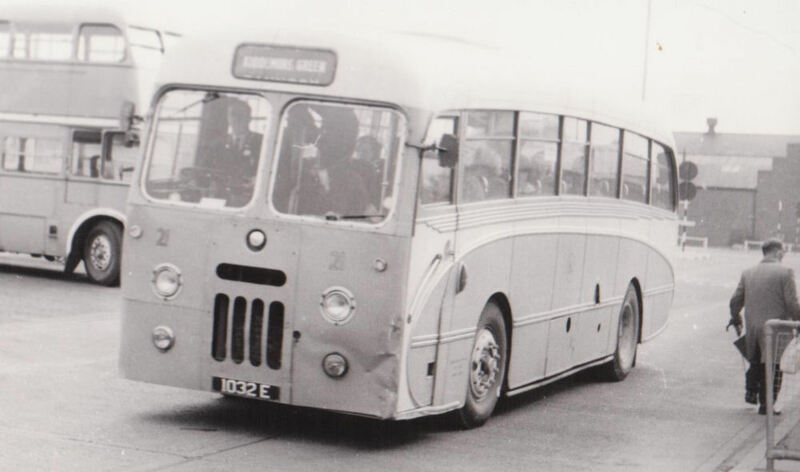 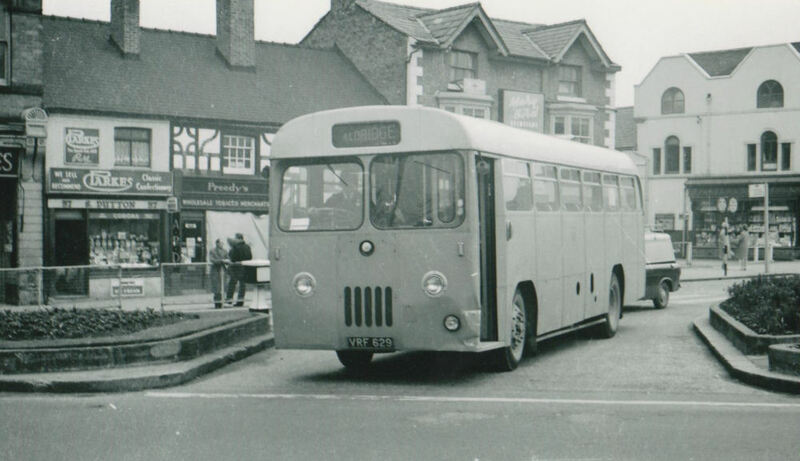 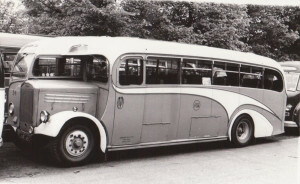 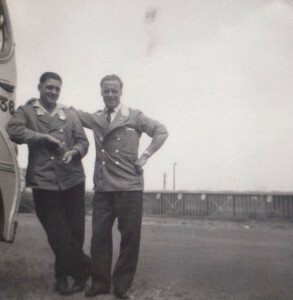 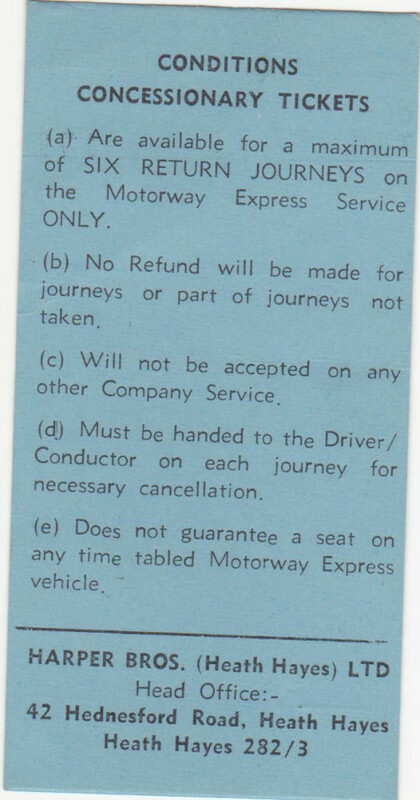 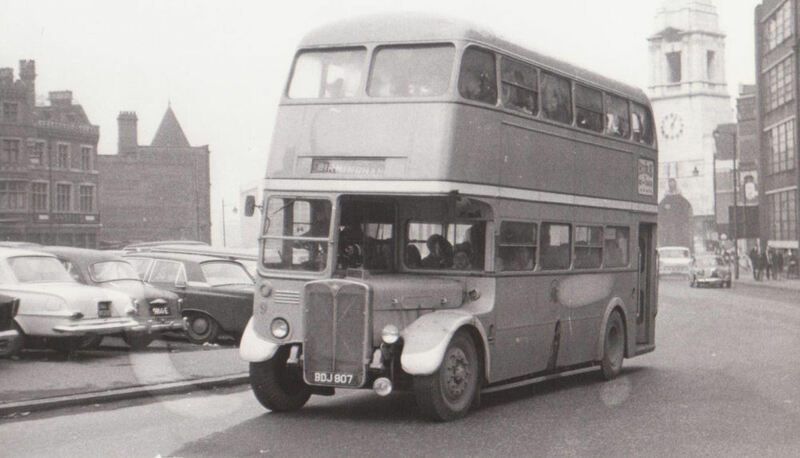 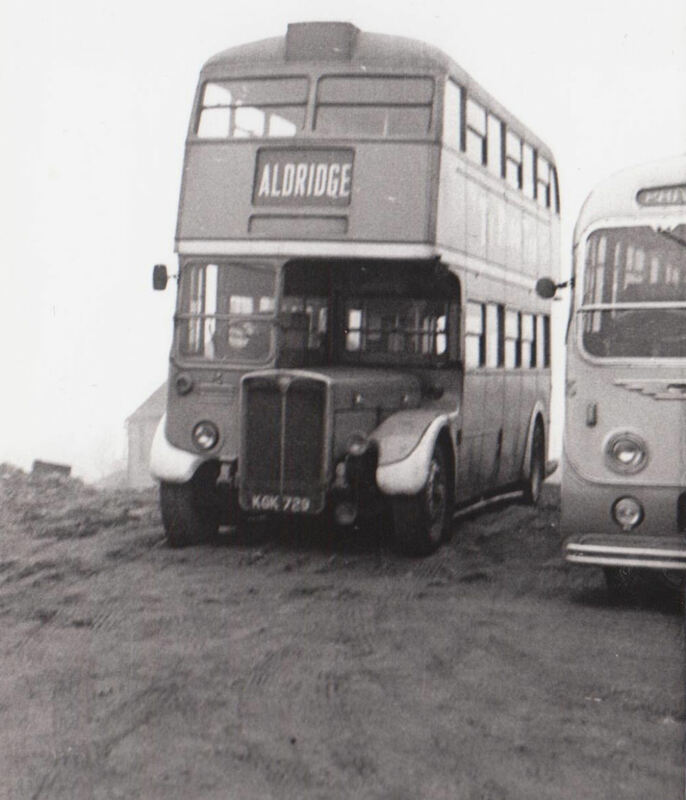 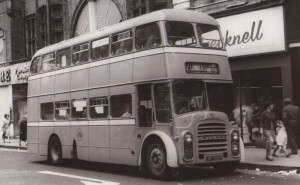 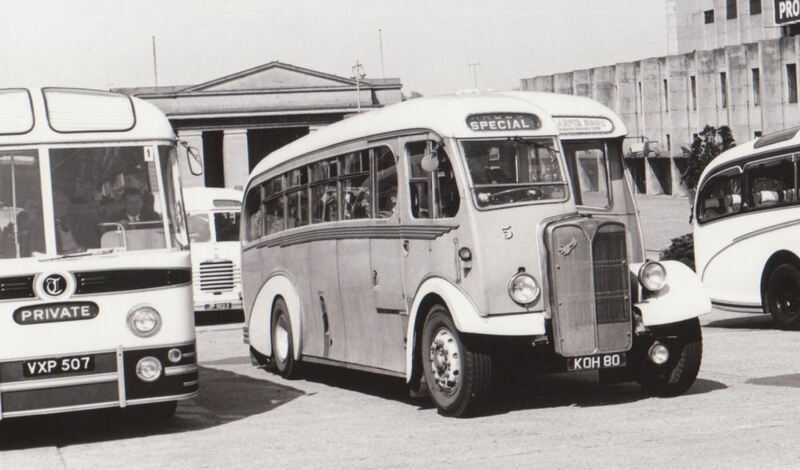 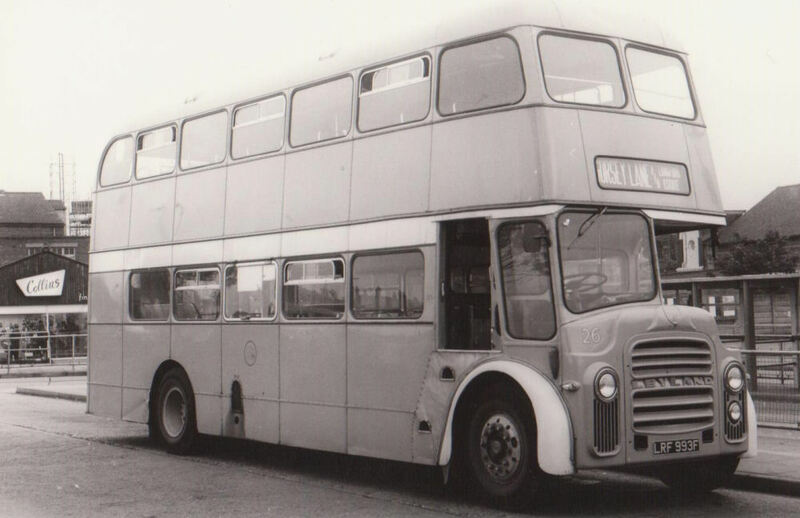 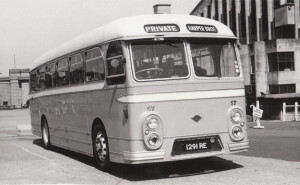 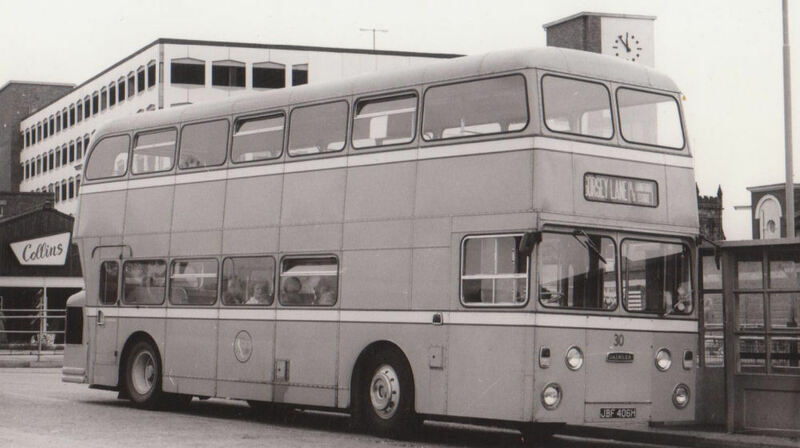 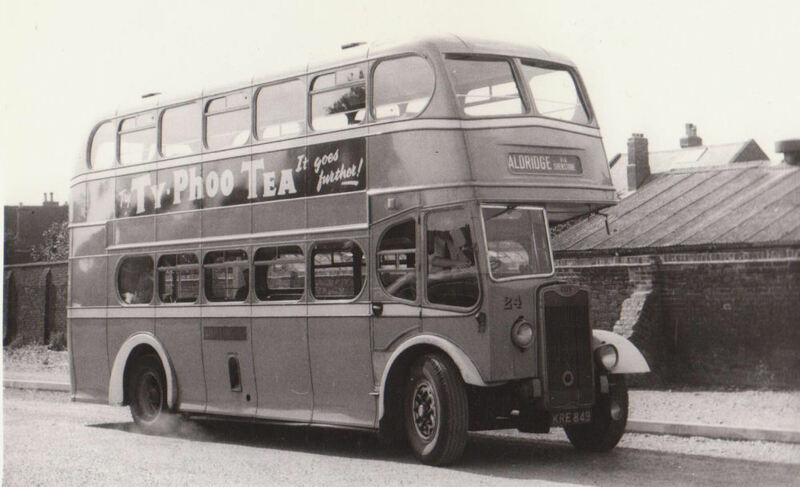 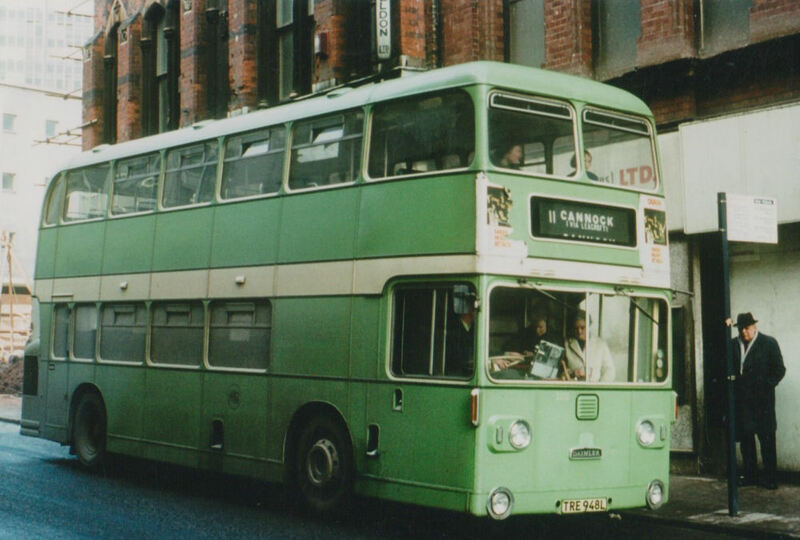 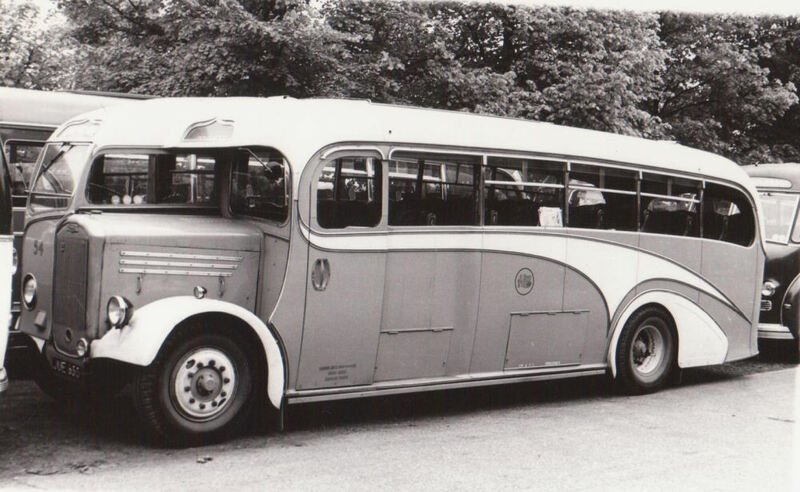 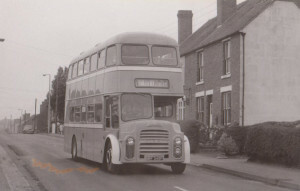 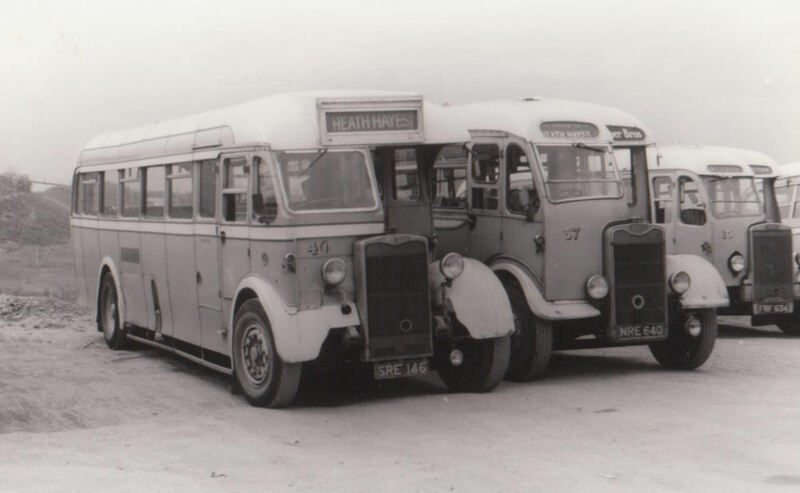 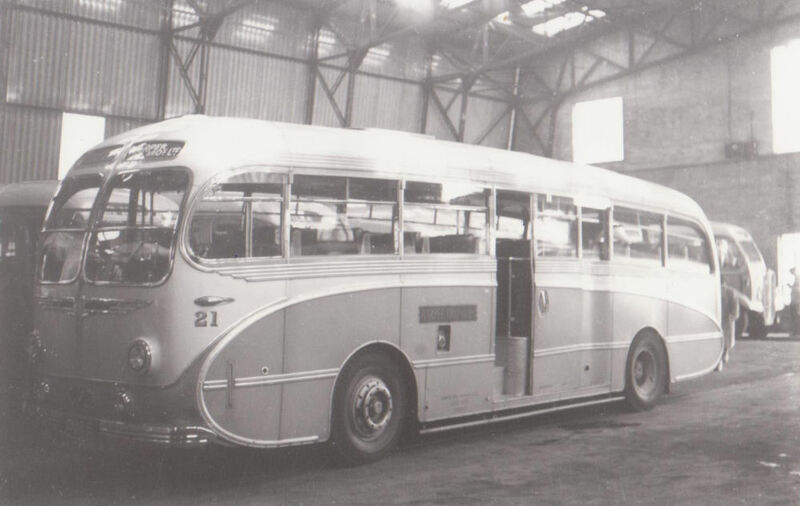 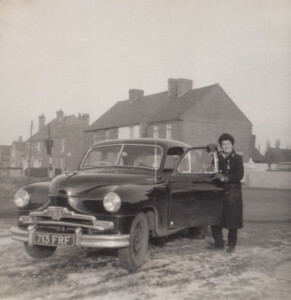 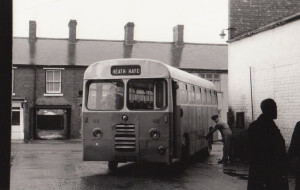 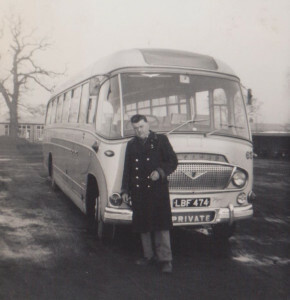 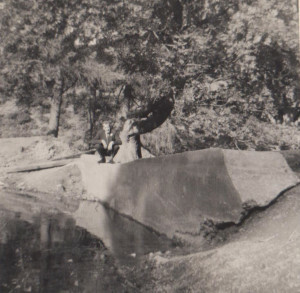 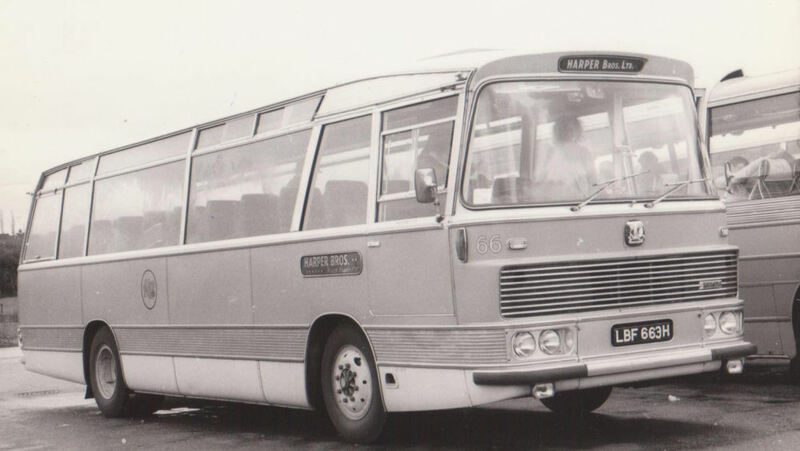 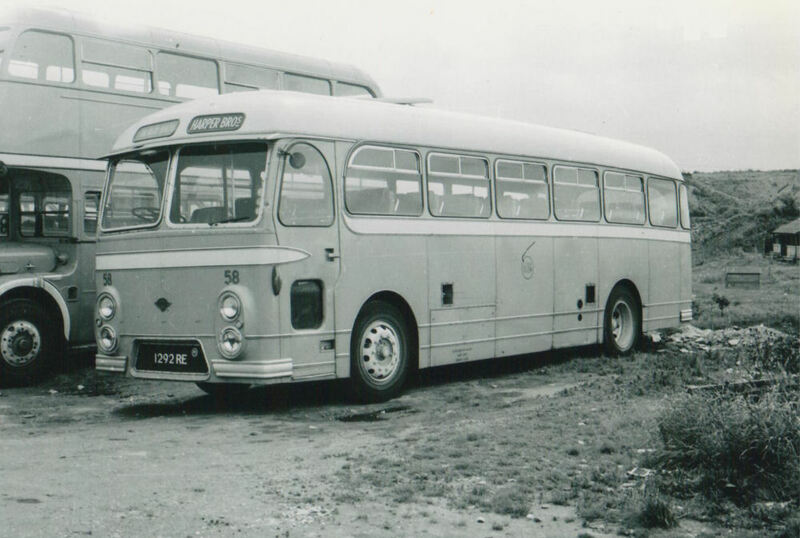 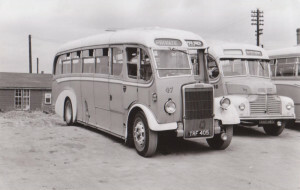 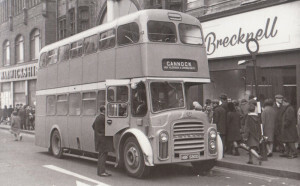 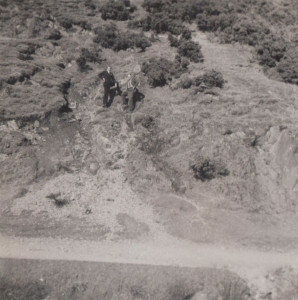 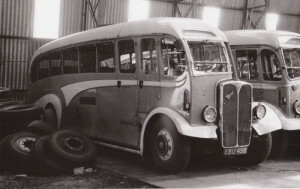 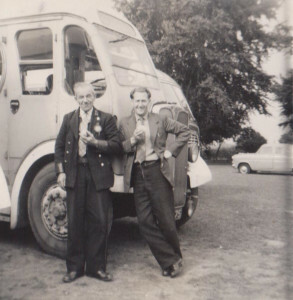 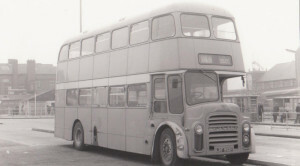 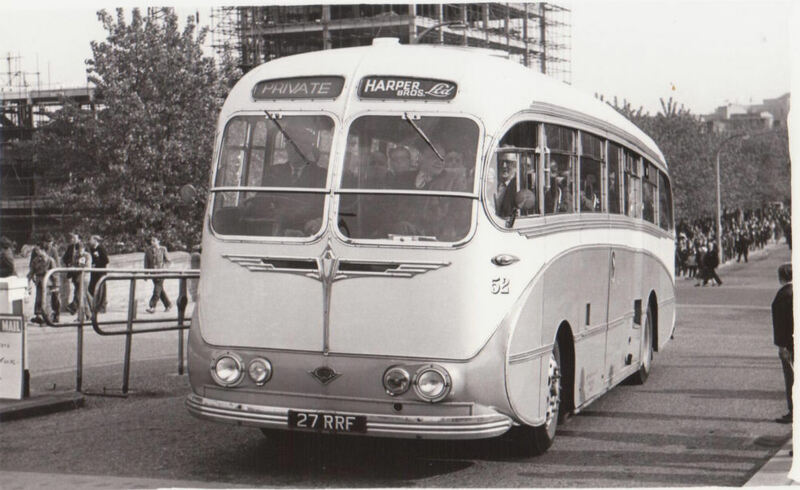 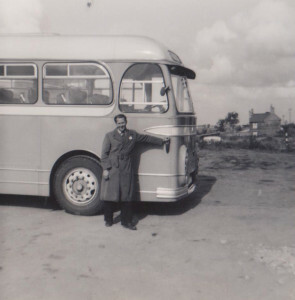 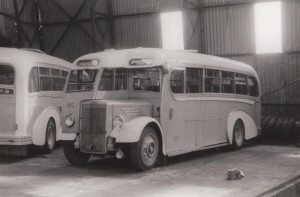 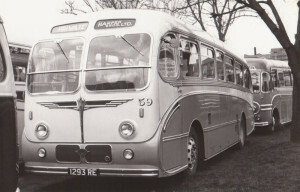 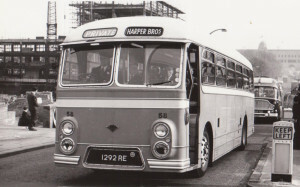 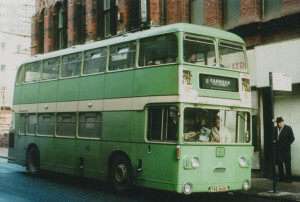 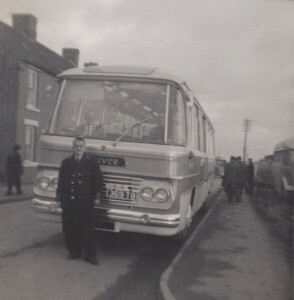 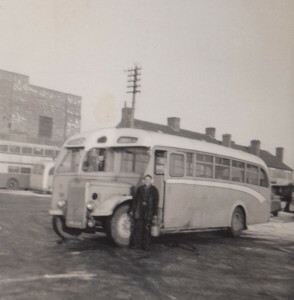 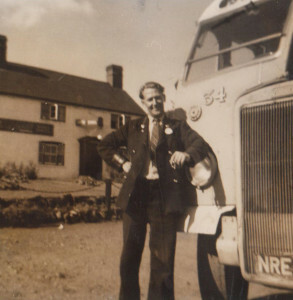 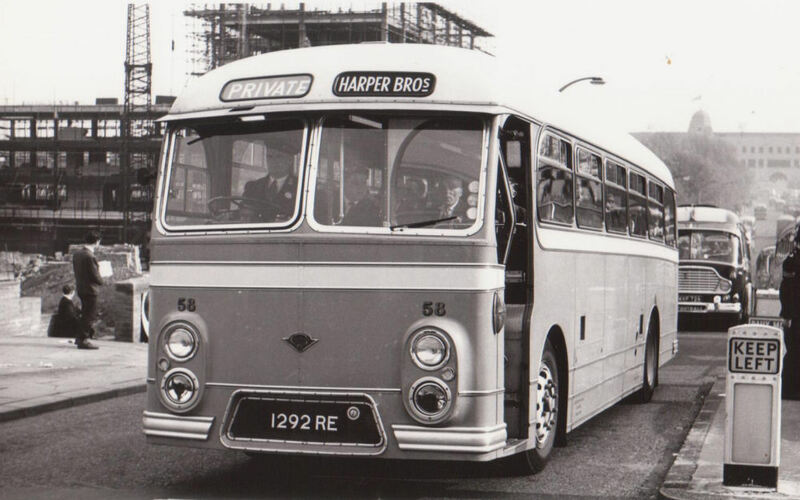 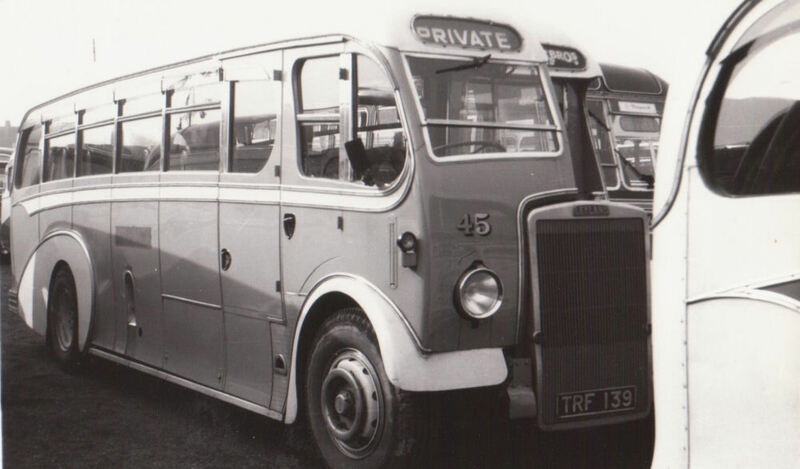 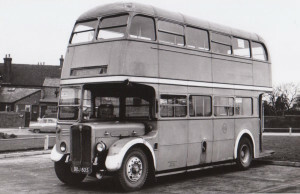 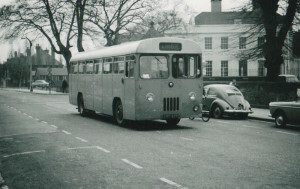 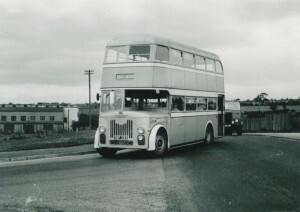 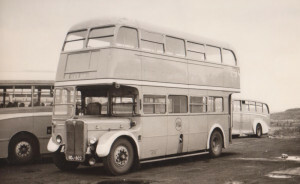 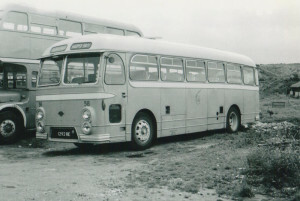 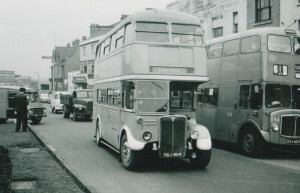 My funniest memory and one which was often laughed about over the Sunday roast for many years was the trip when we struck a bus that could not get up a hill and we all had to get off and walk while the men helped to push it. At the end of the day, tired and sticky we would get back on the Harpers bus and set off for home; again singing while someone passed the hat around for the driver. 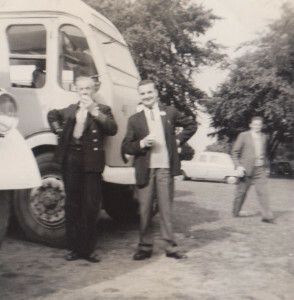 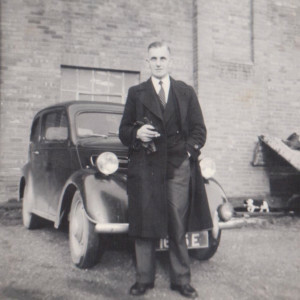 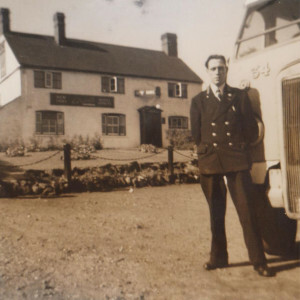 A stop at a beer garden was mandatory and dad would come out with lemonade and crisps for us kids and shandy for him and mum. 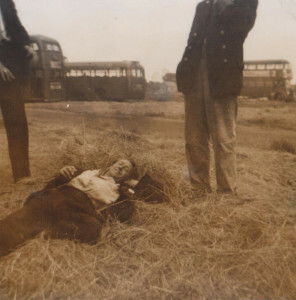 It would be dark when we finally alighted and would happily fall into bed and be out like a light.